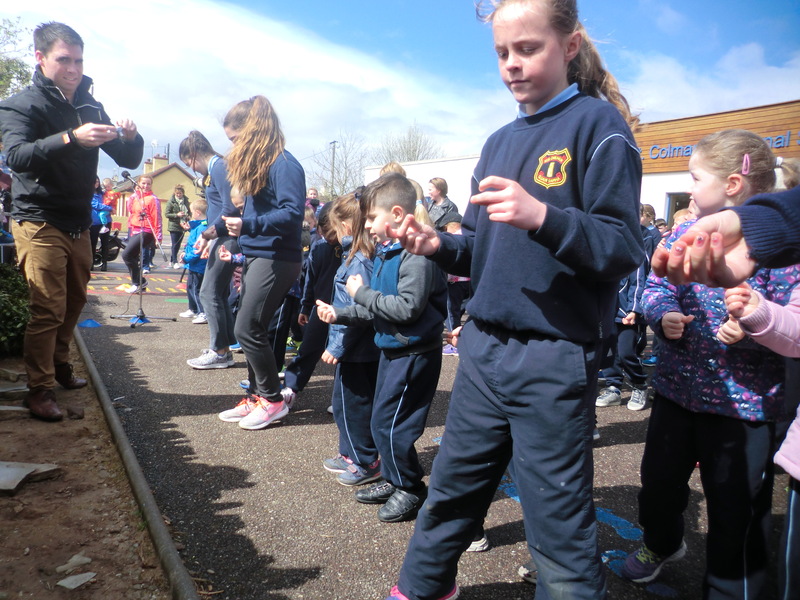 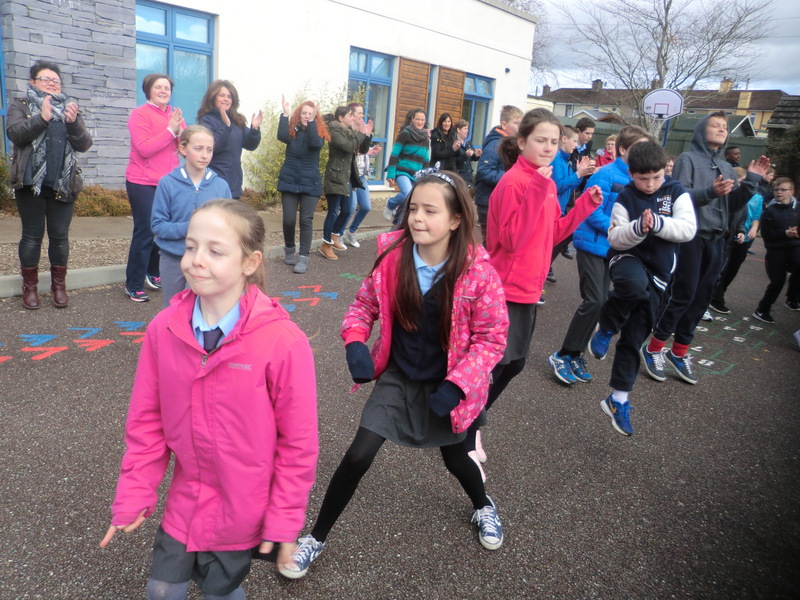 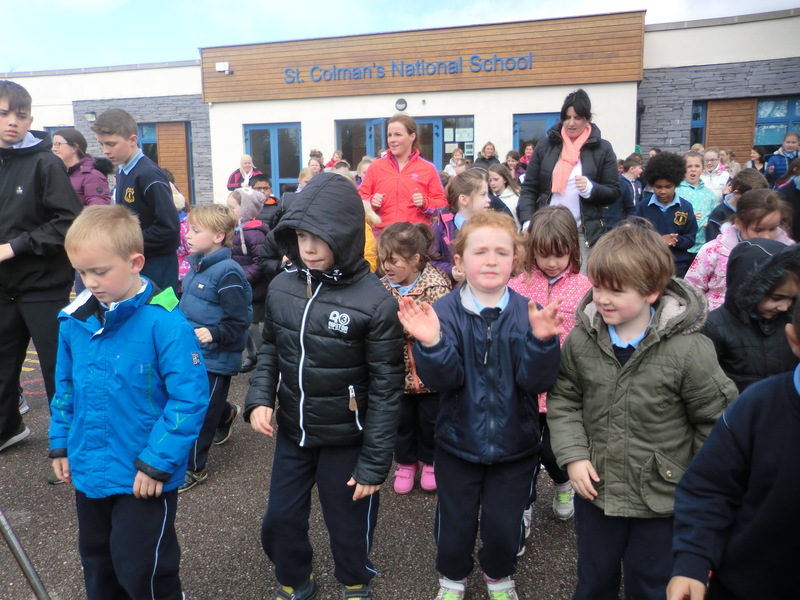 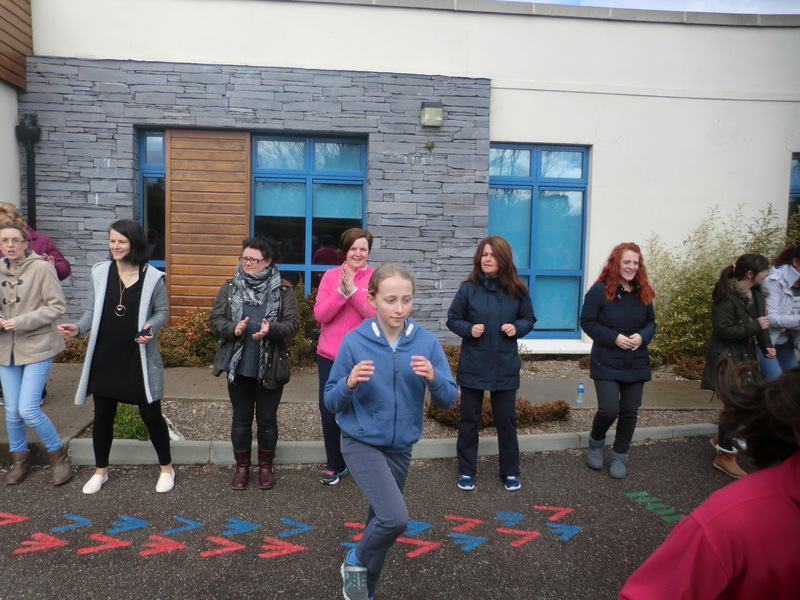 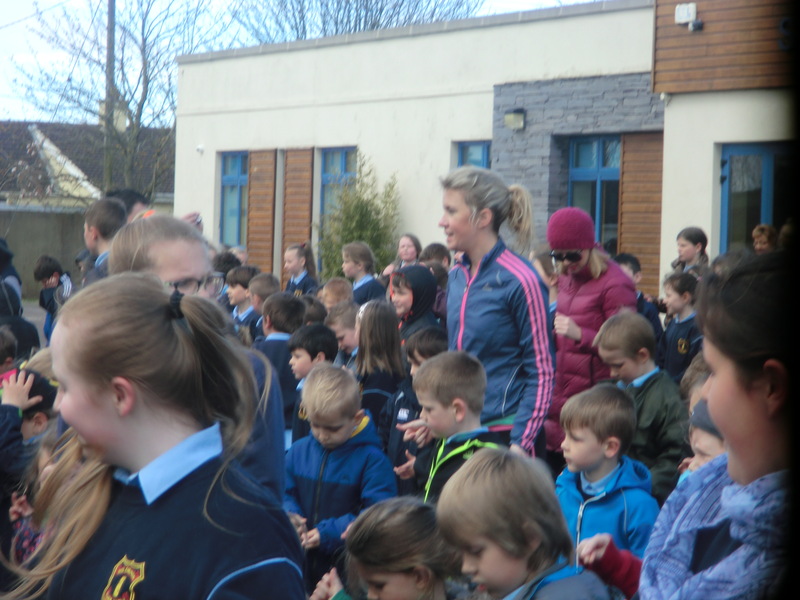 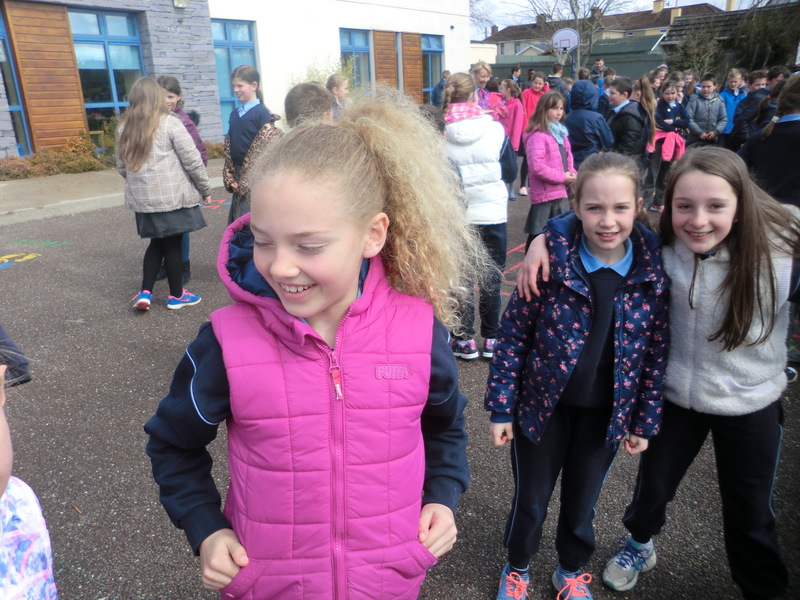 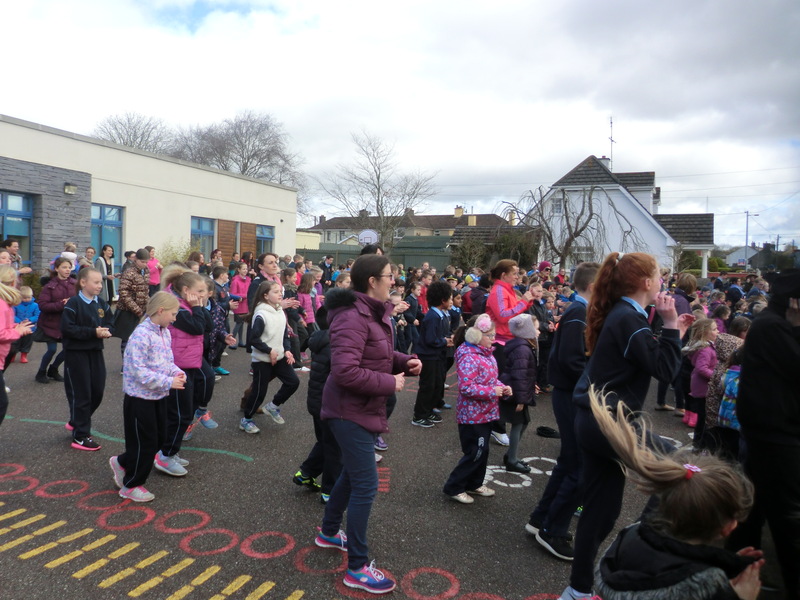 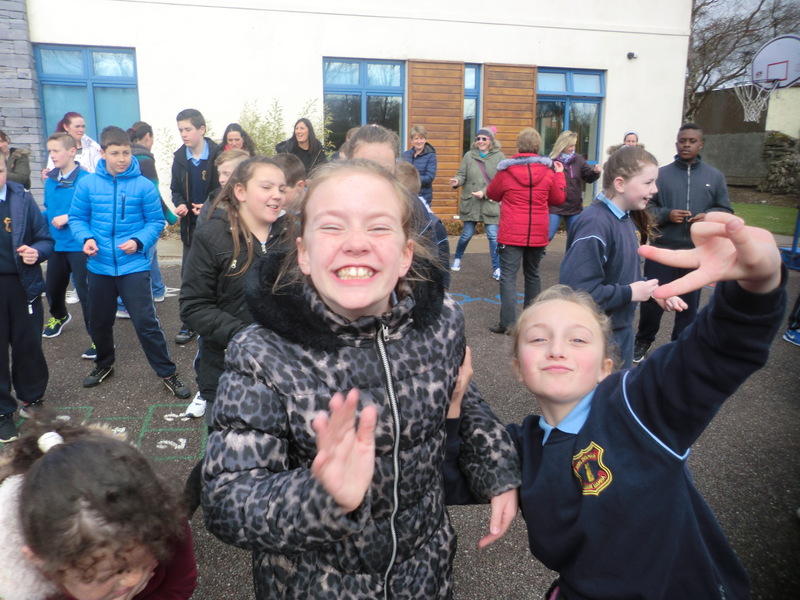 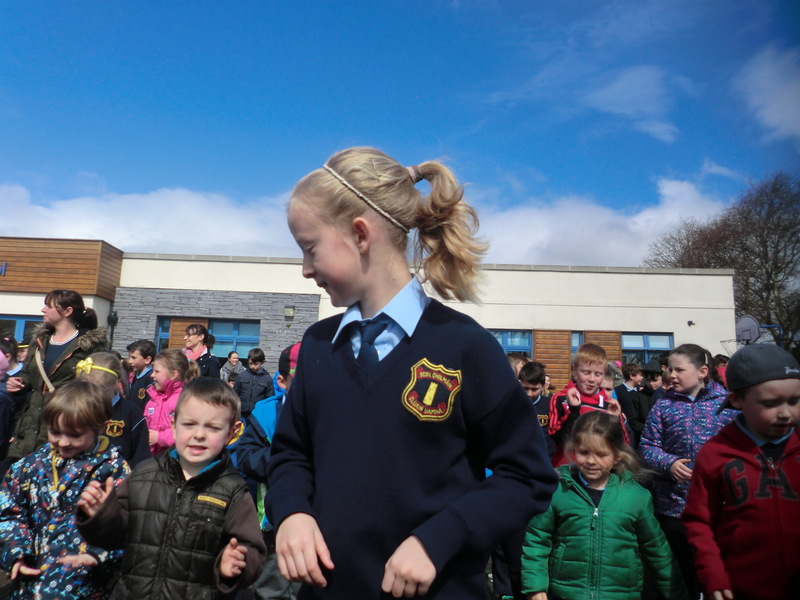 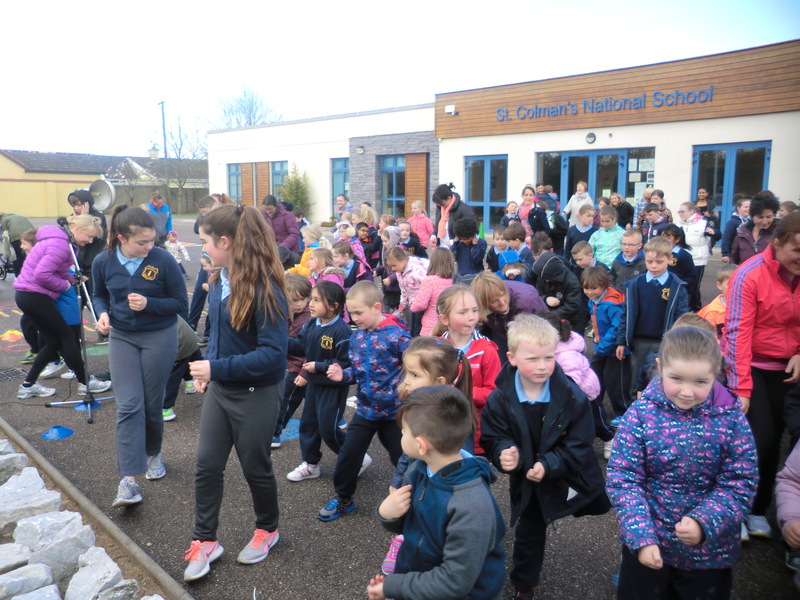 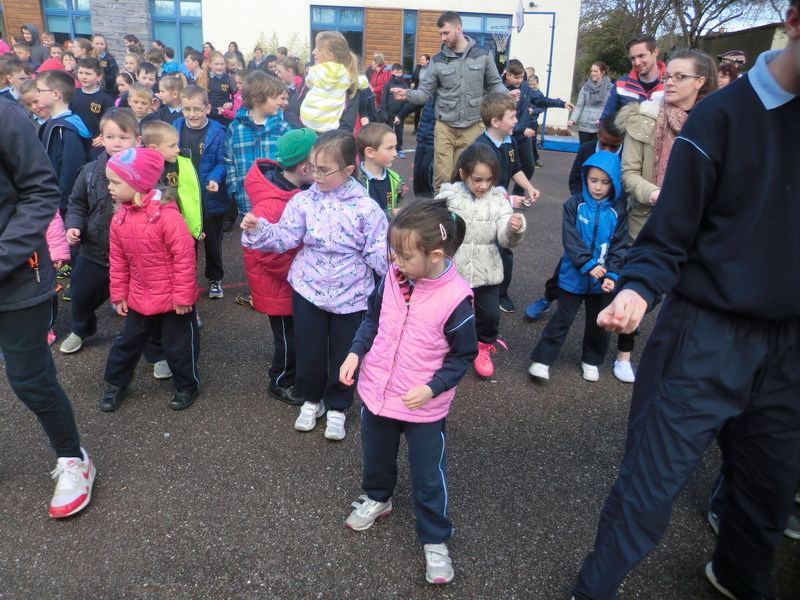 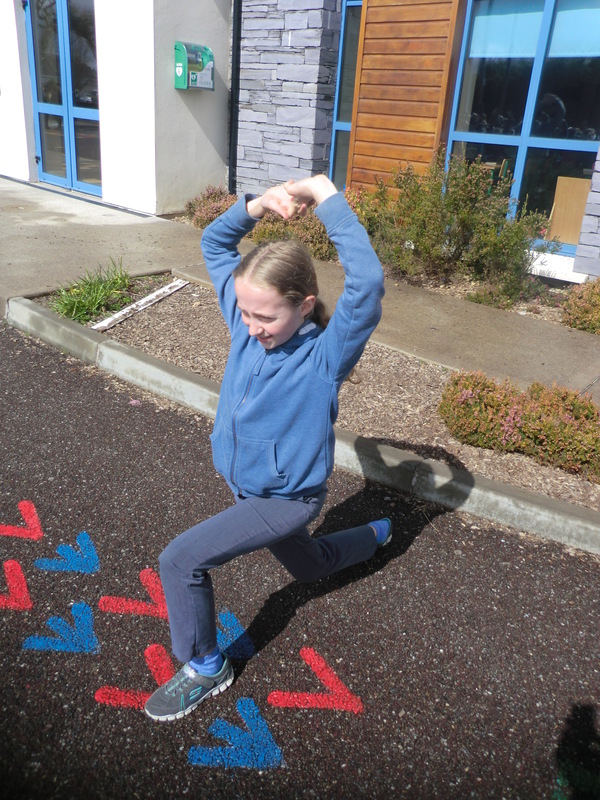 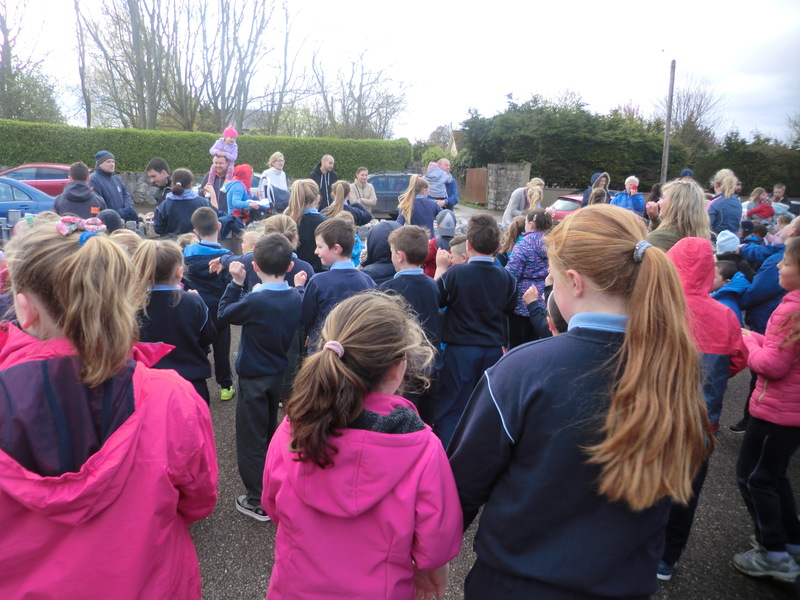 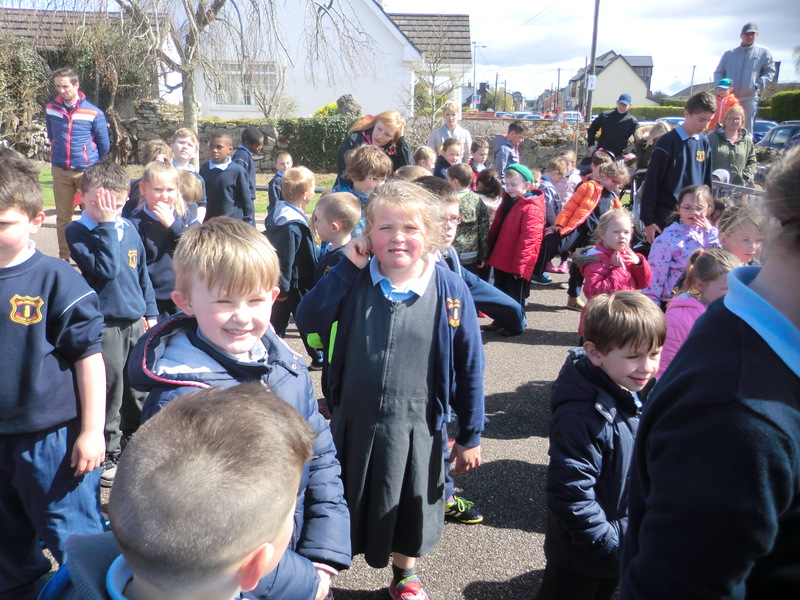 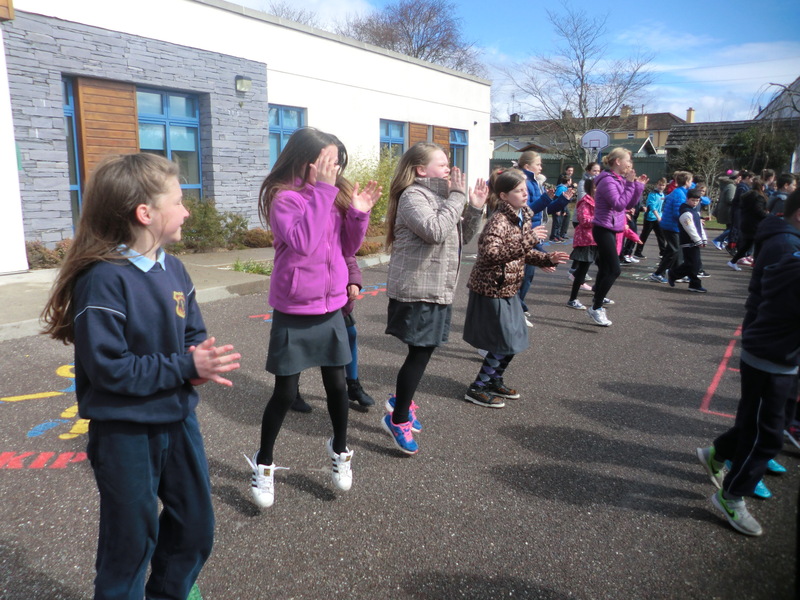 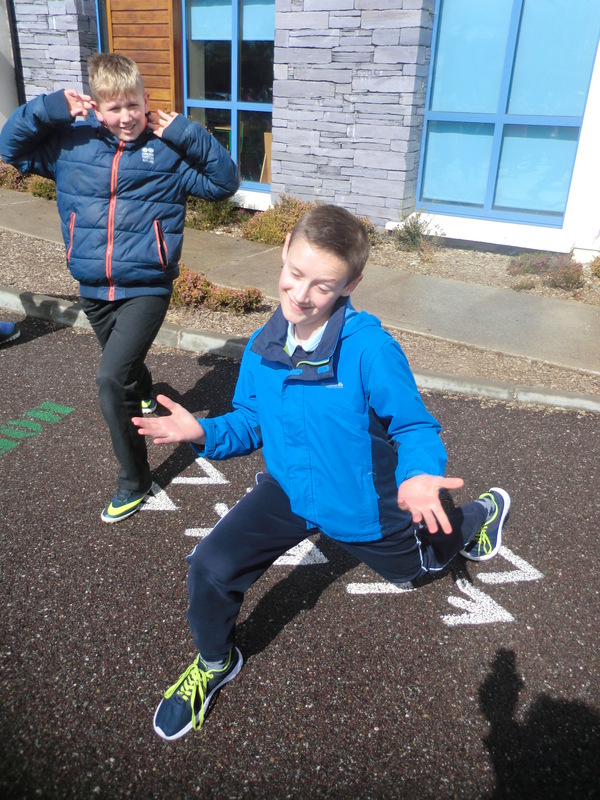 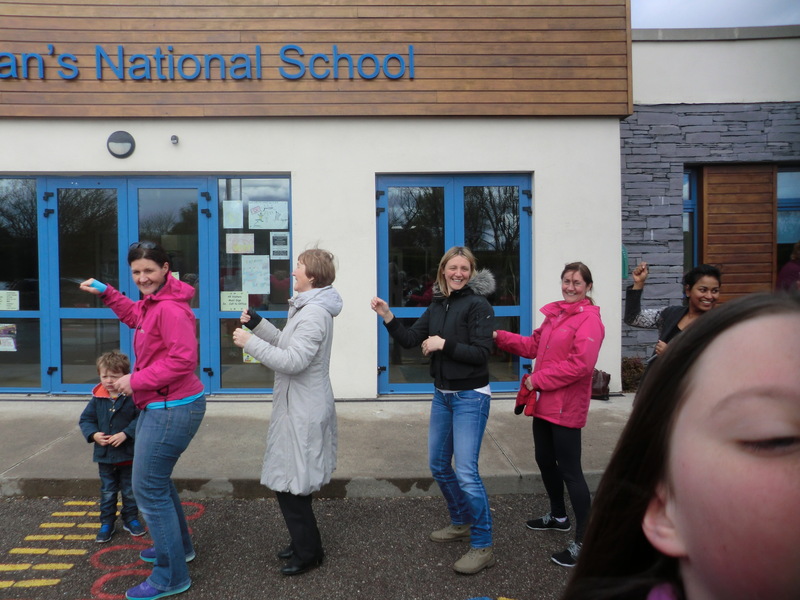 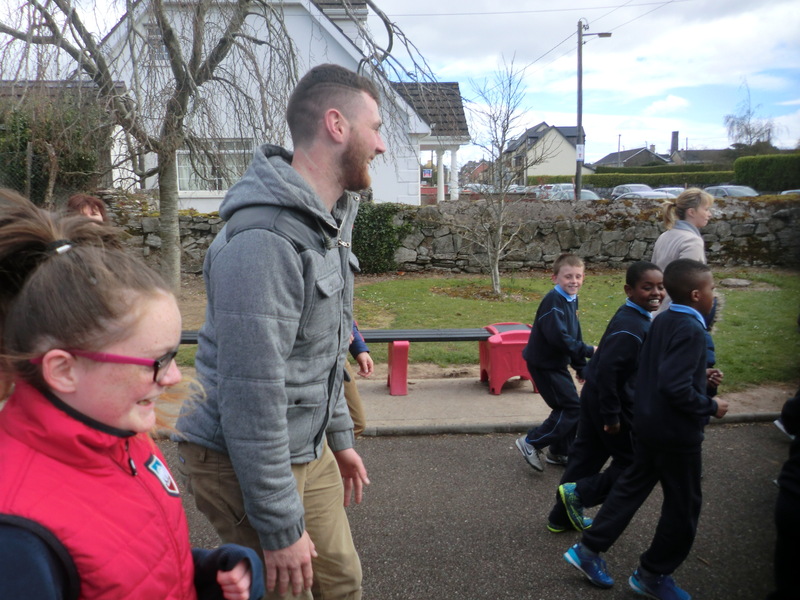 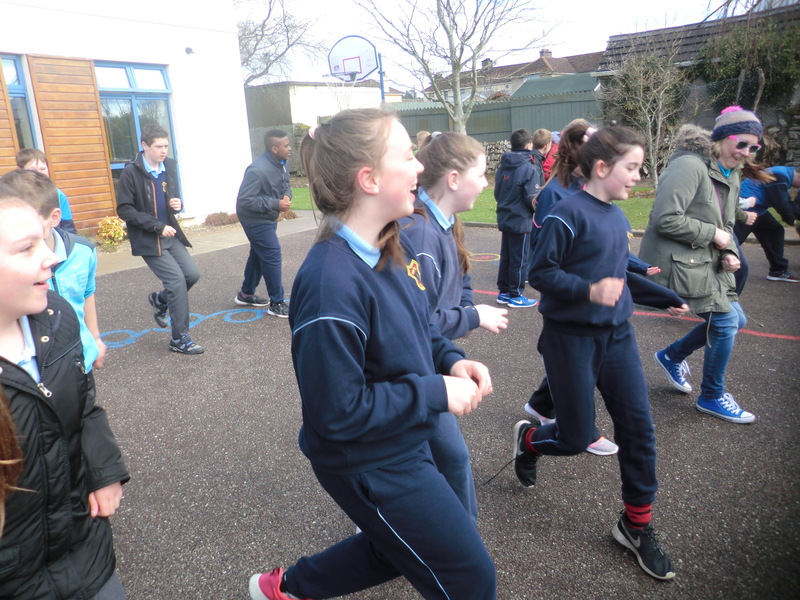 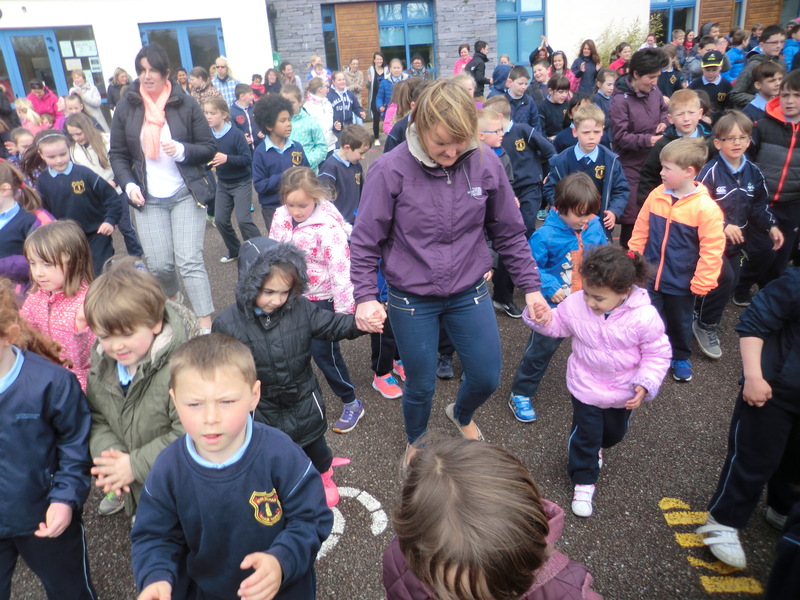 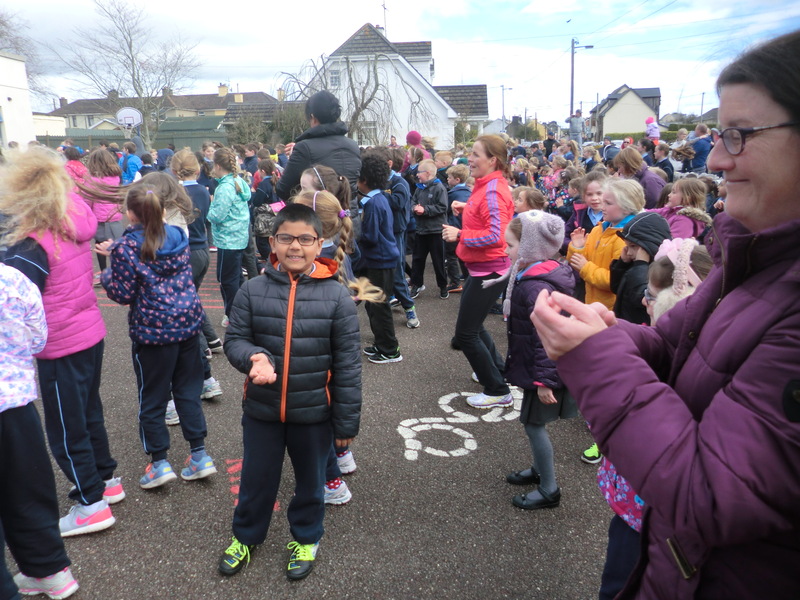 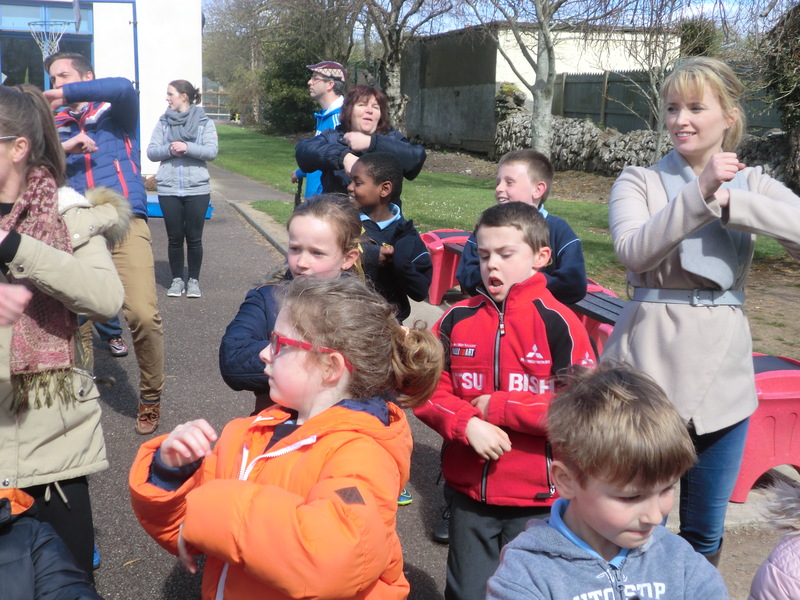 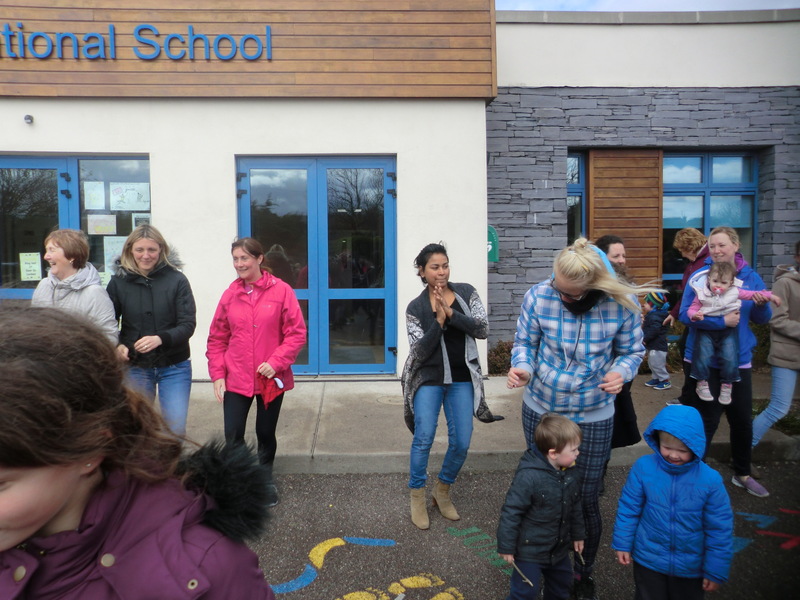 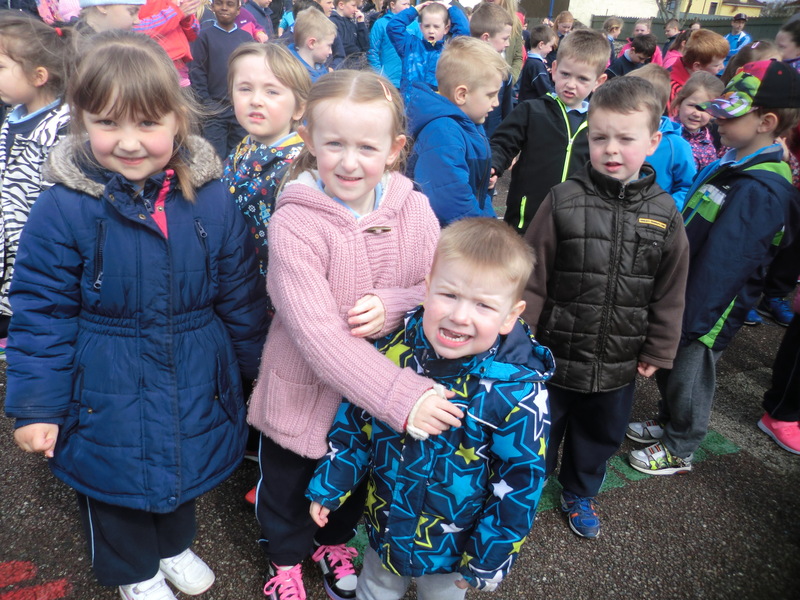 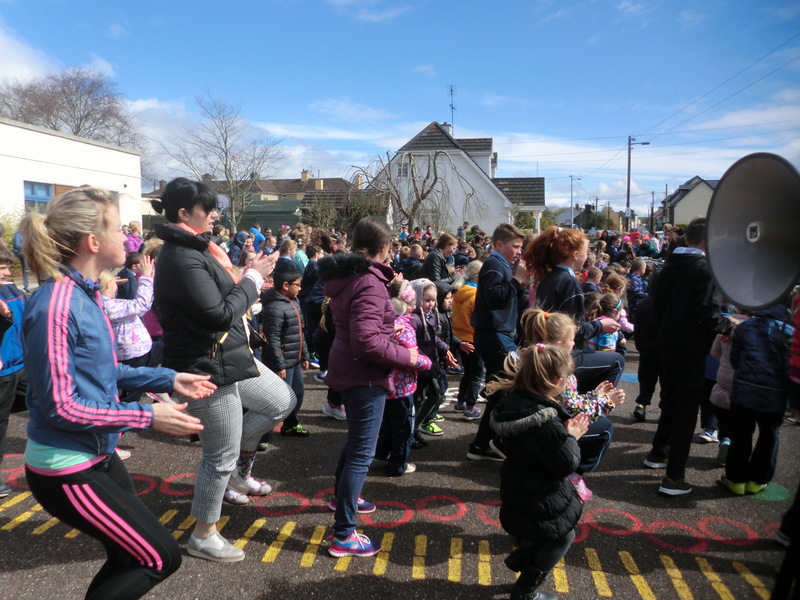 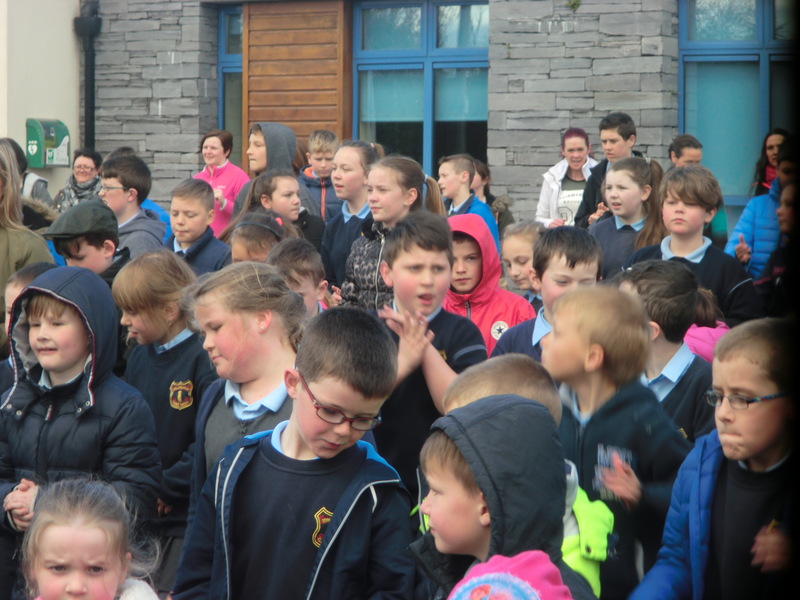 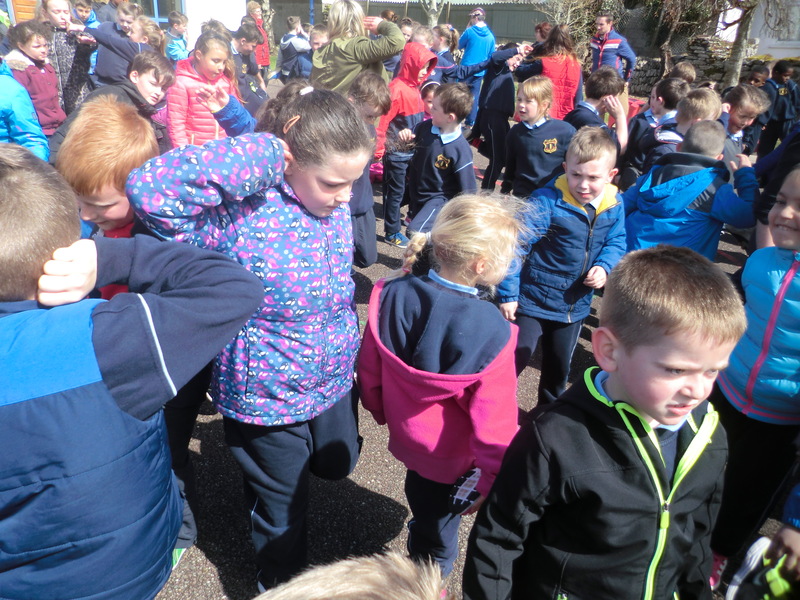 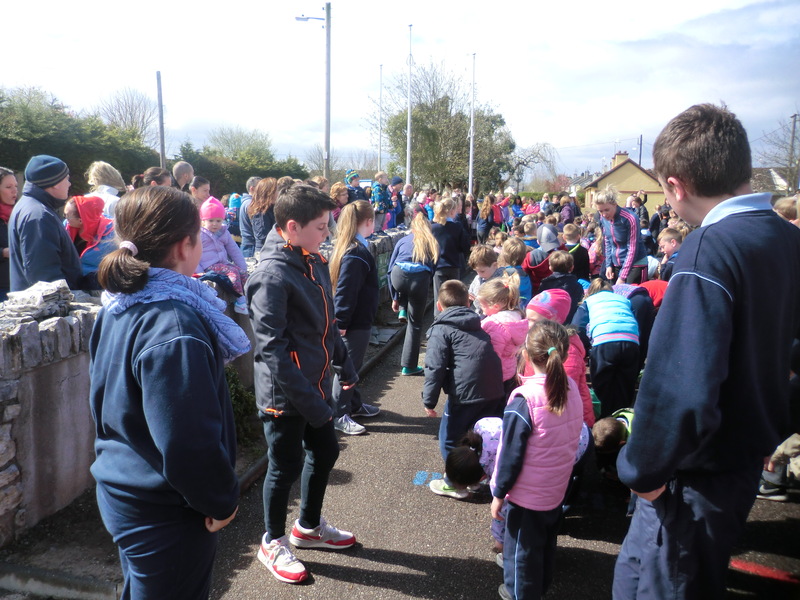 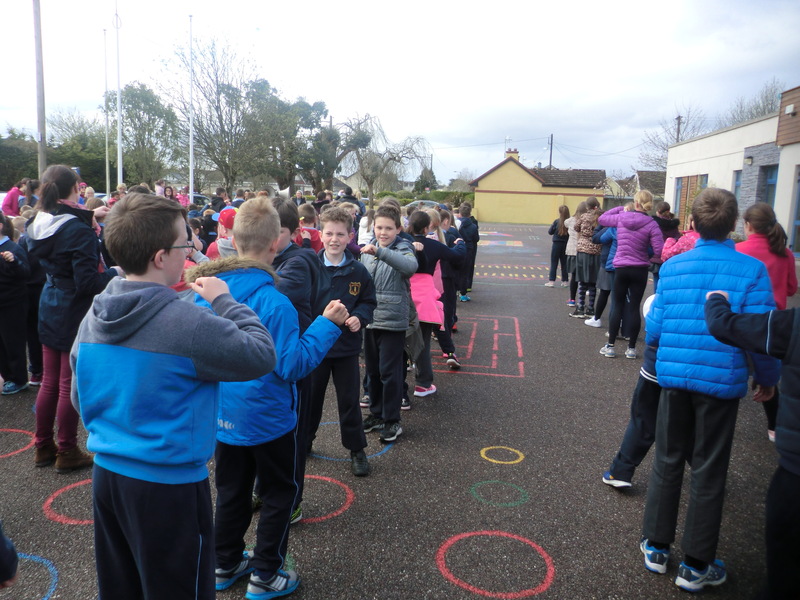 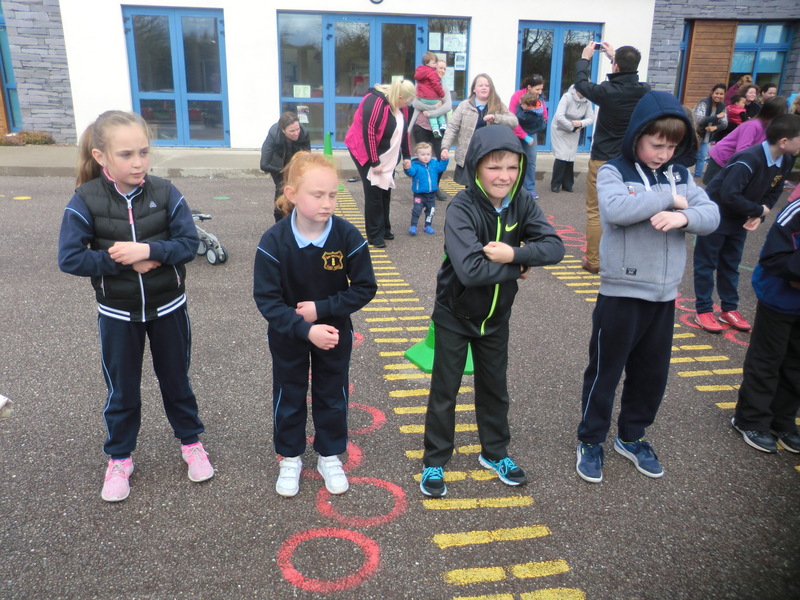 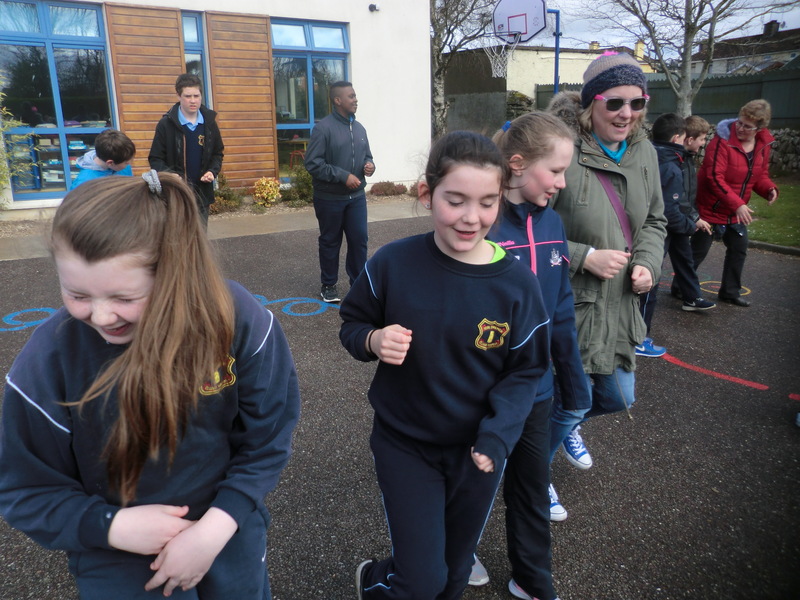 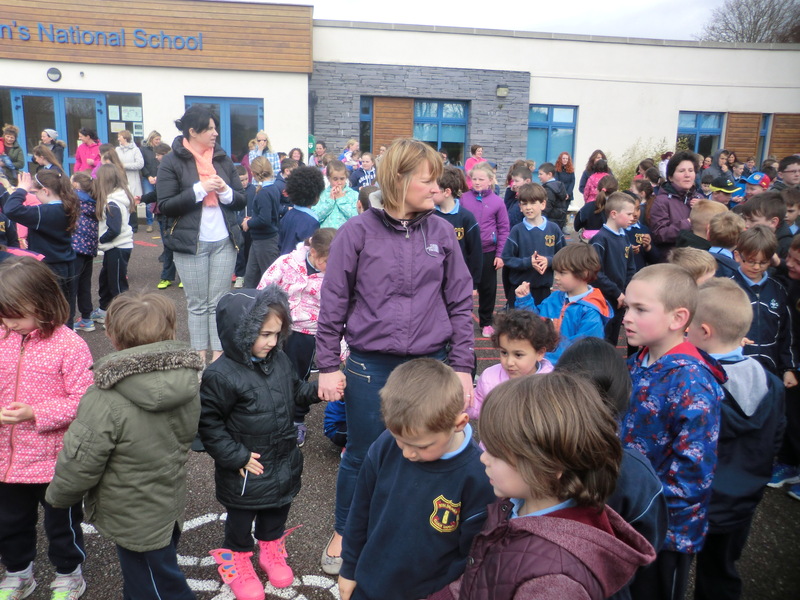 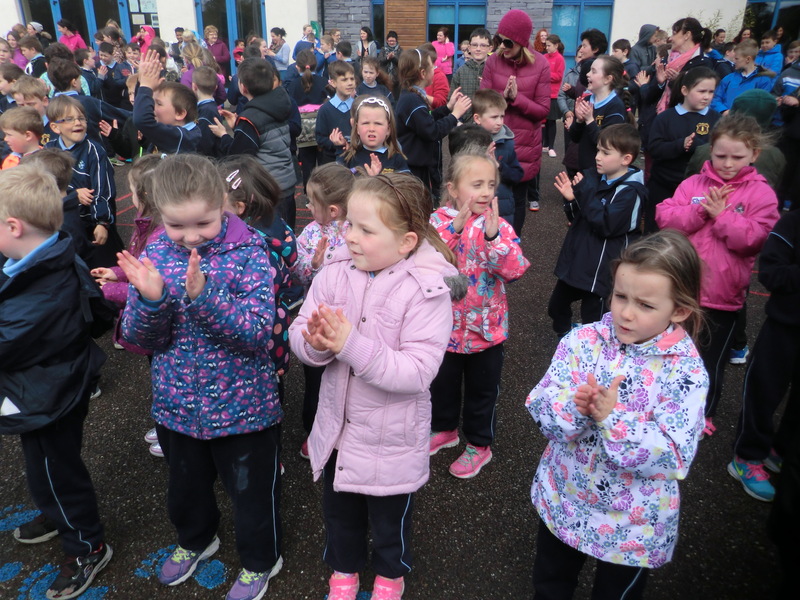 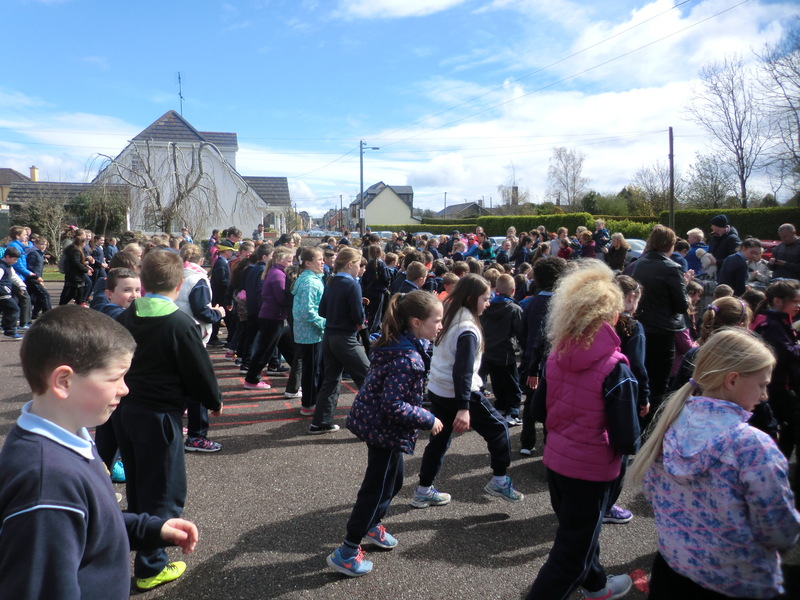 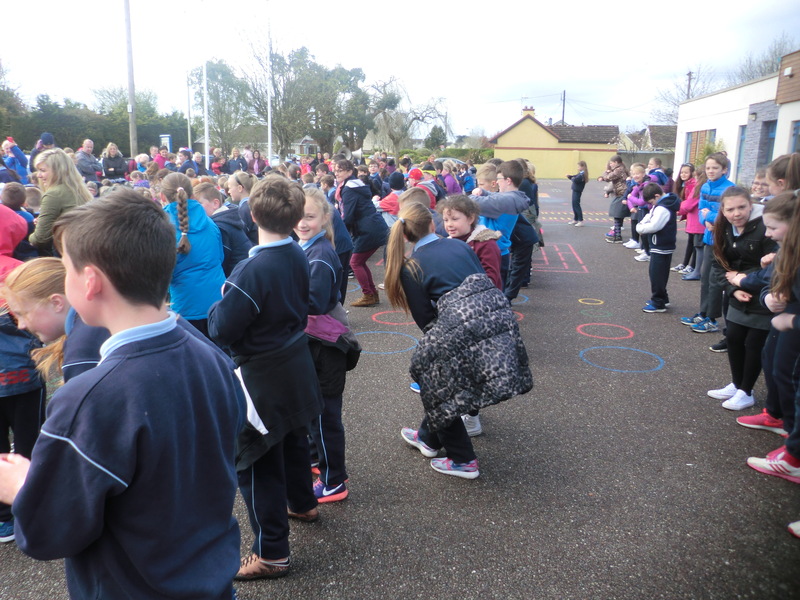 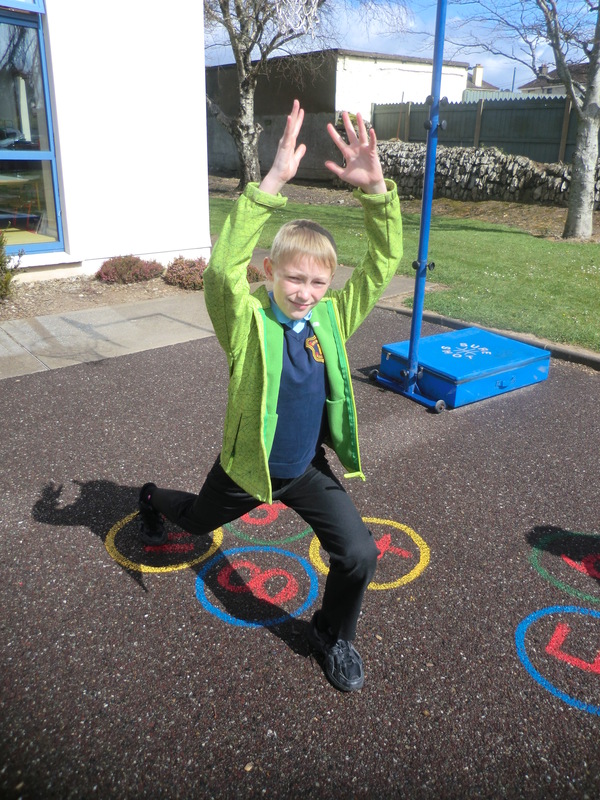 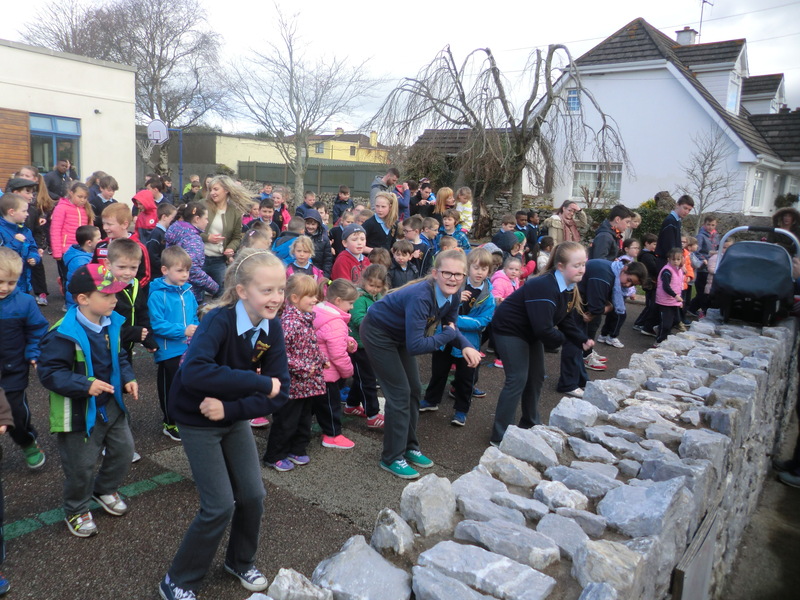 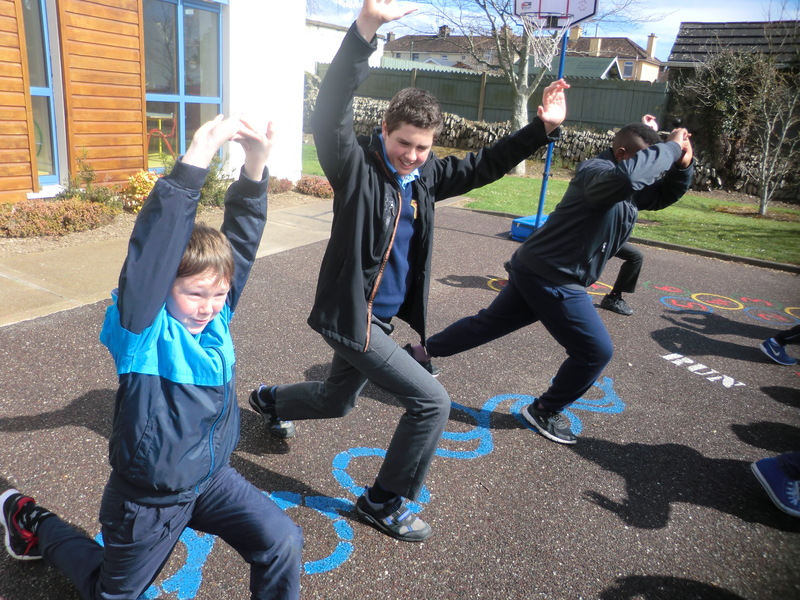 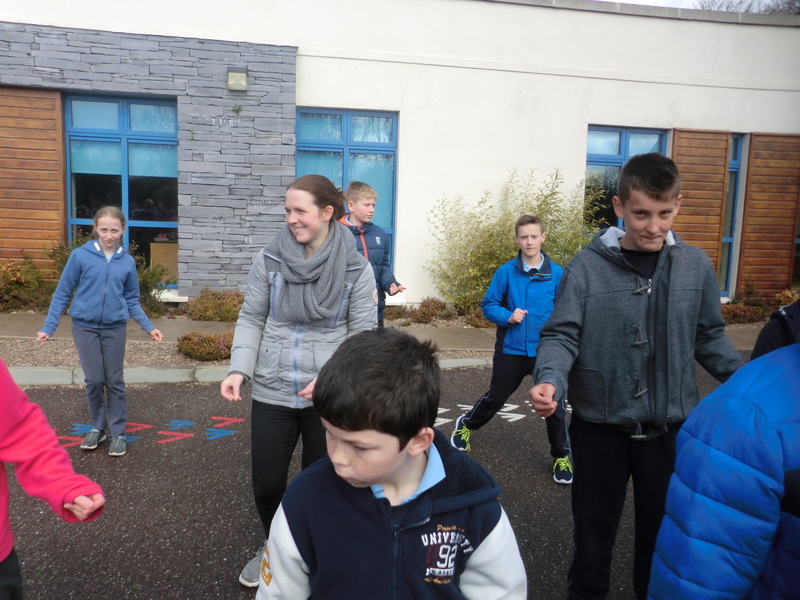 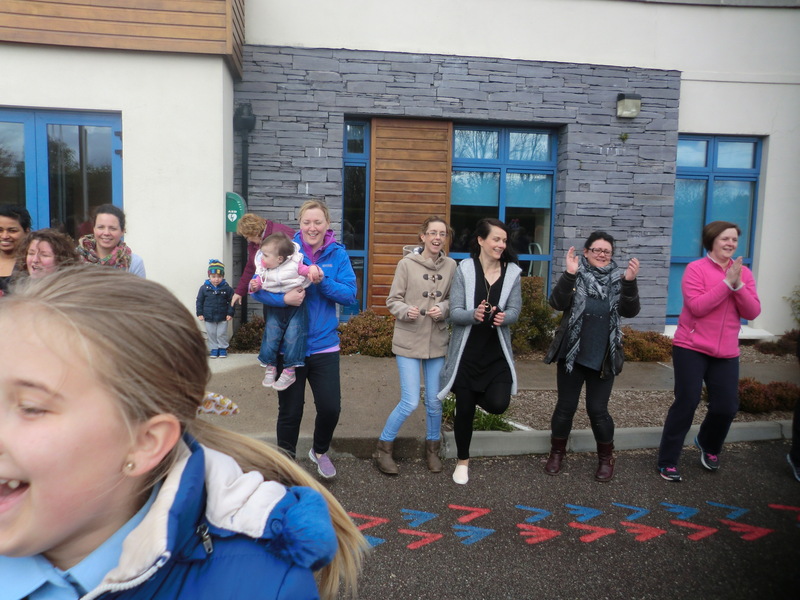 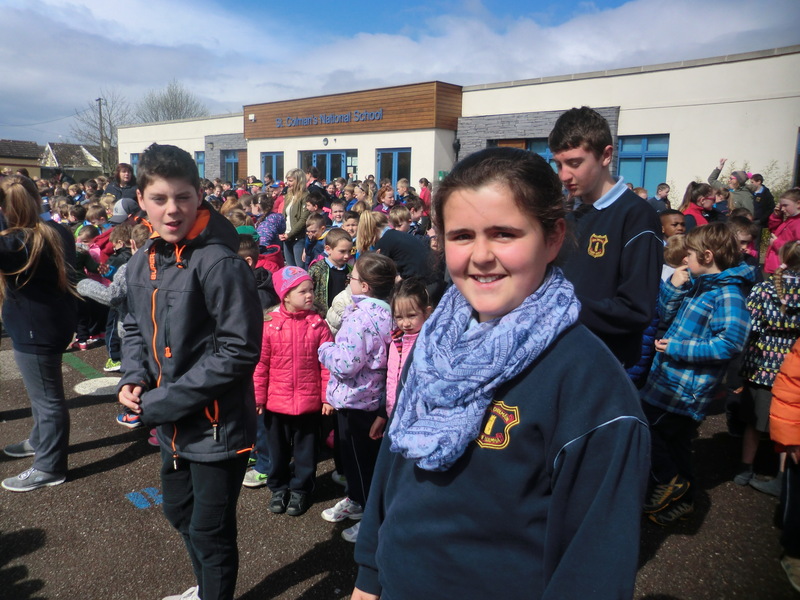 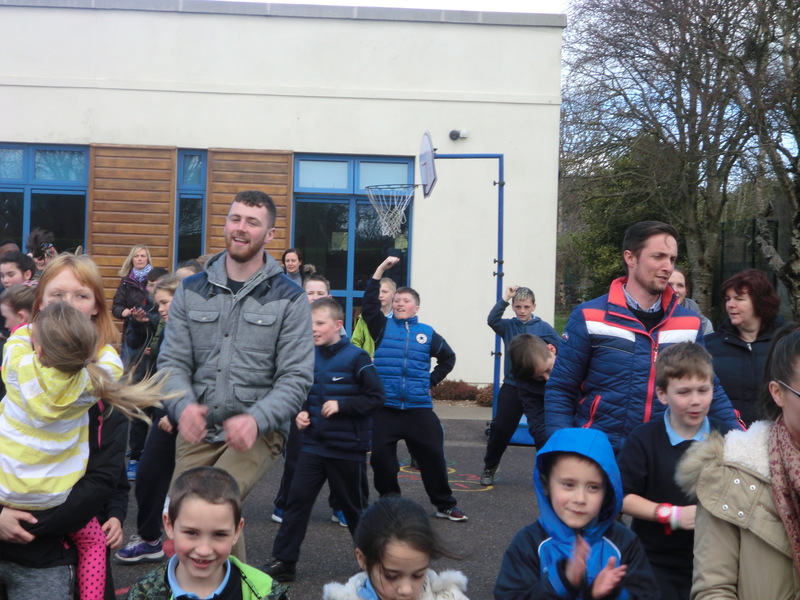 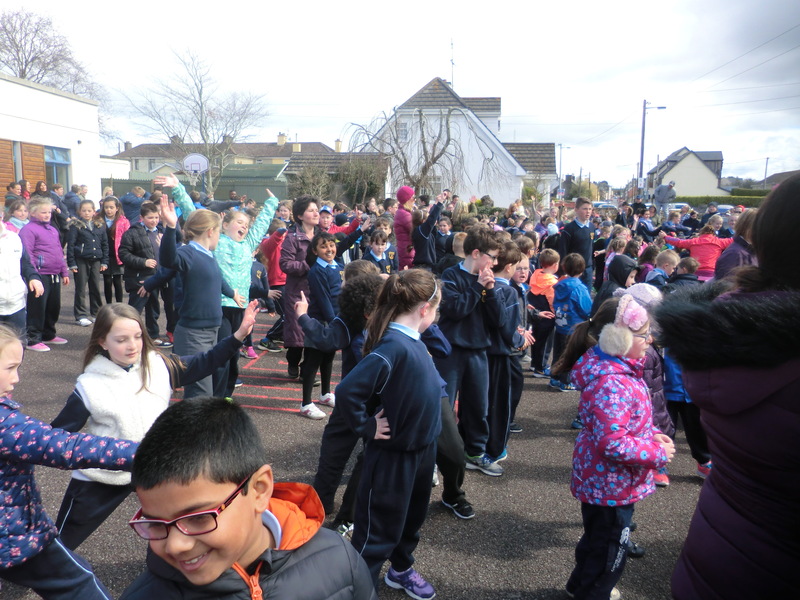 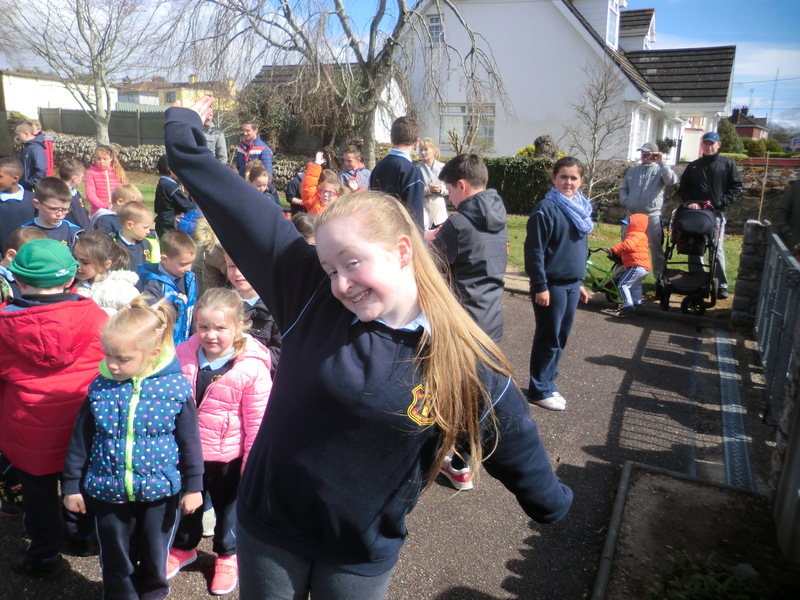 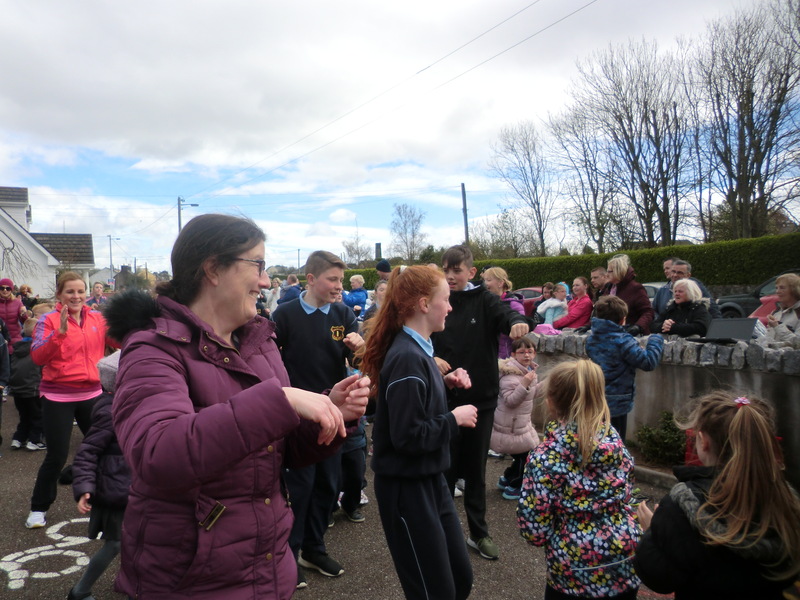 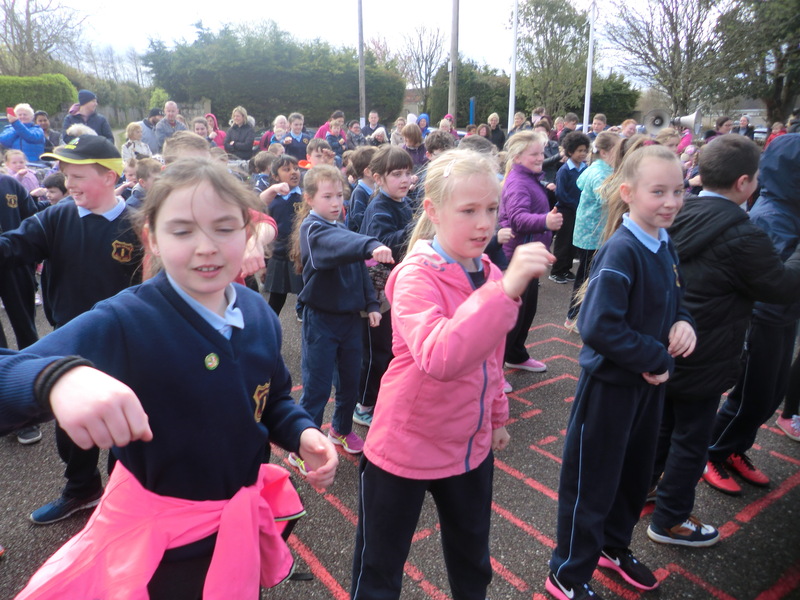 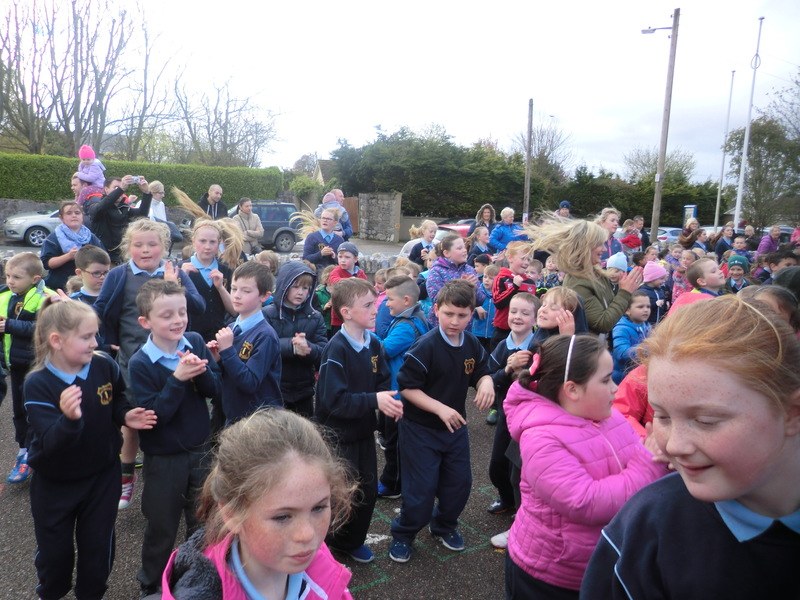 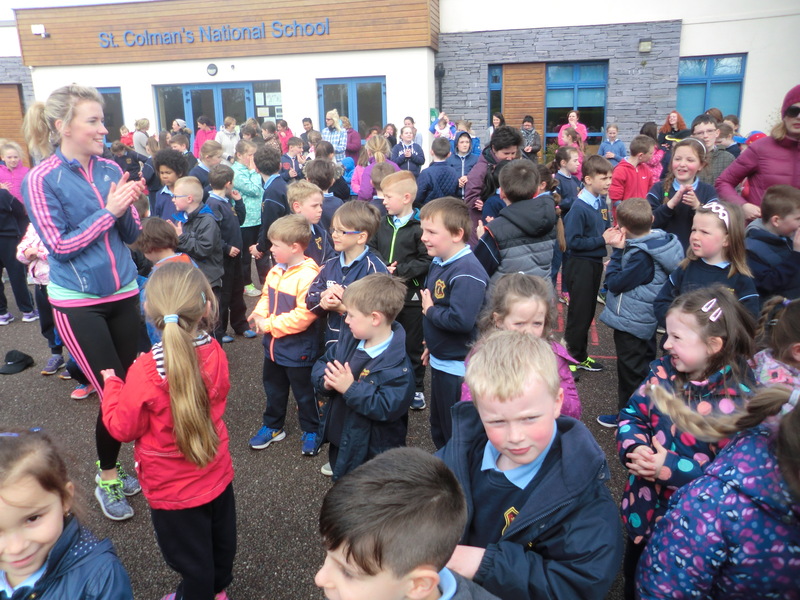 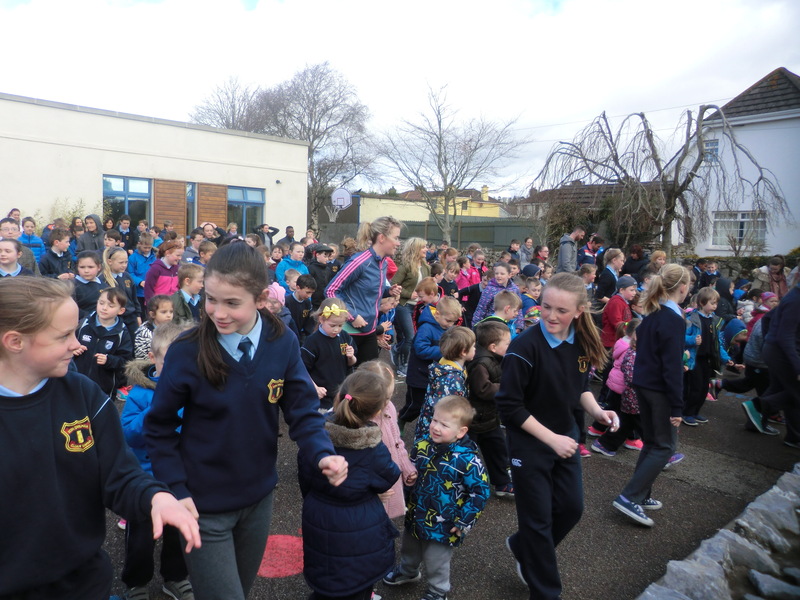 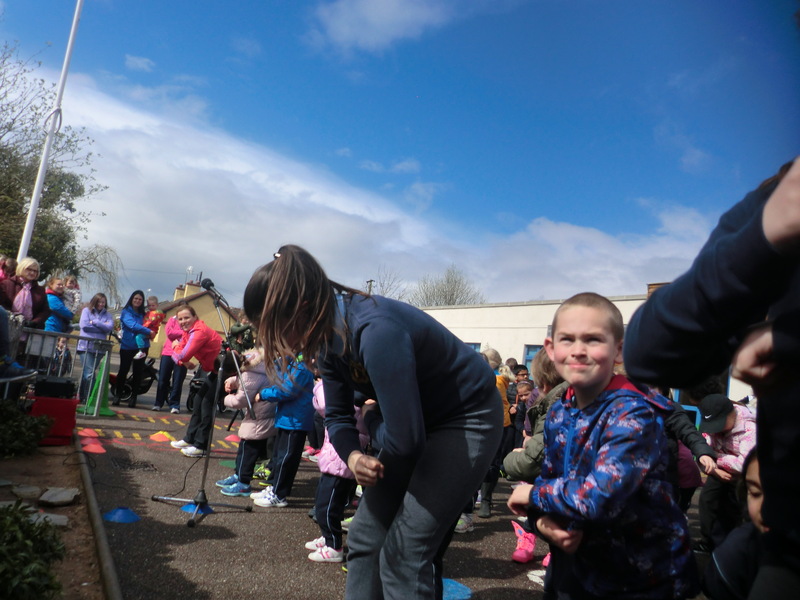 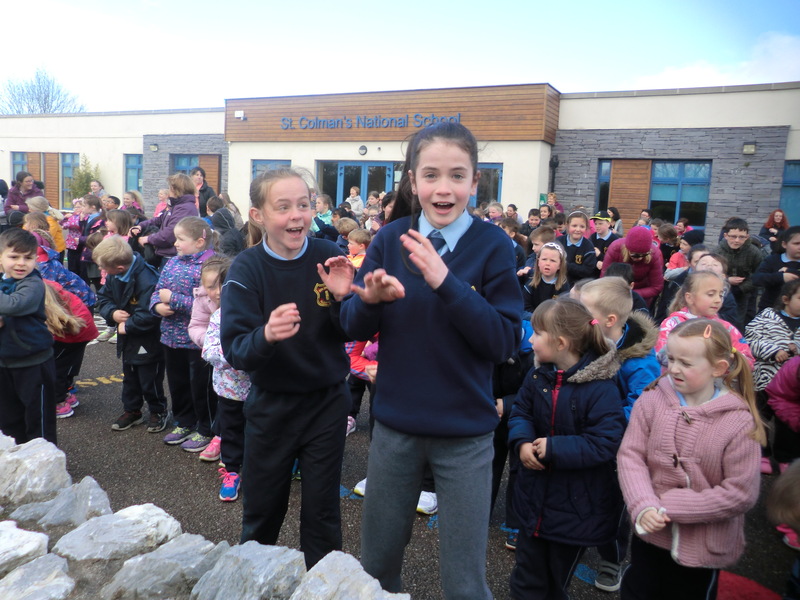 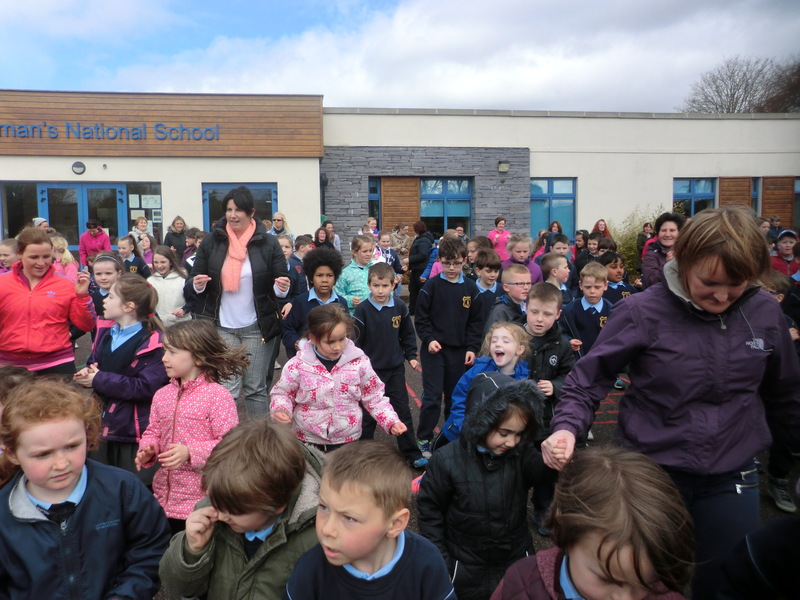 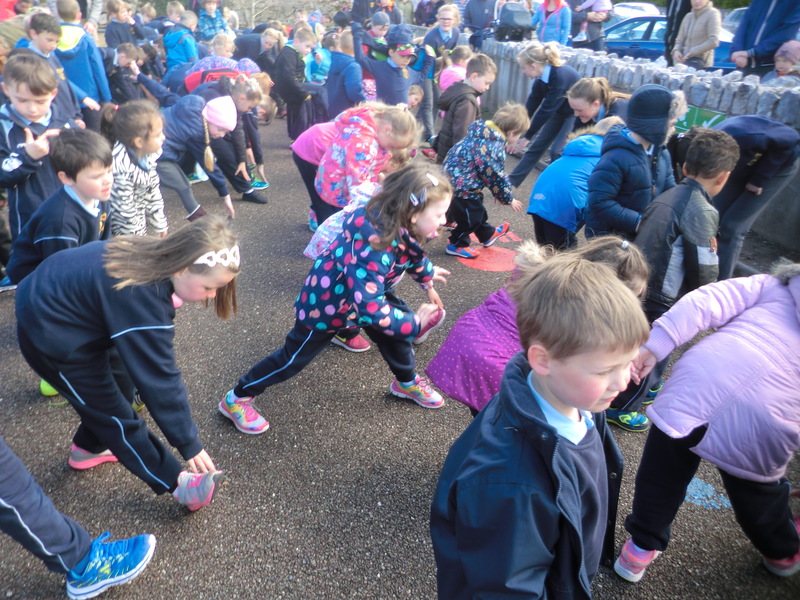 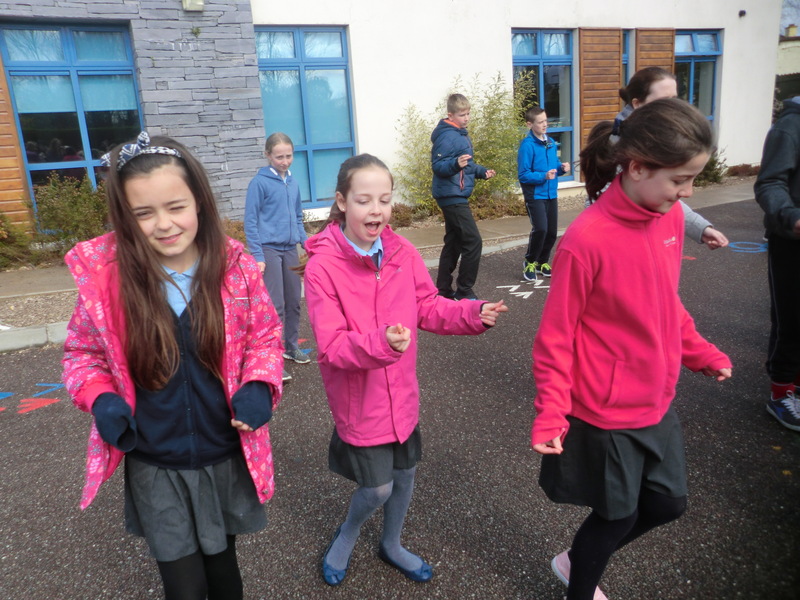 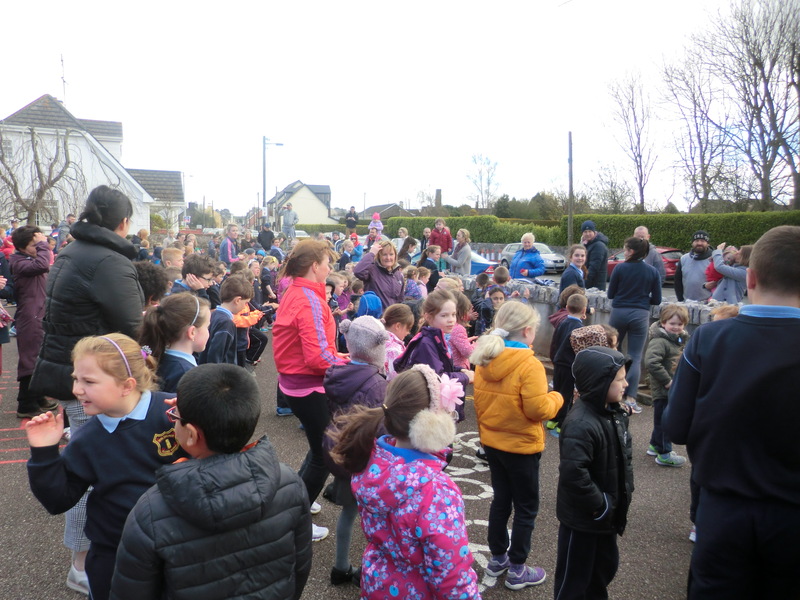 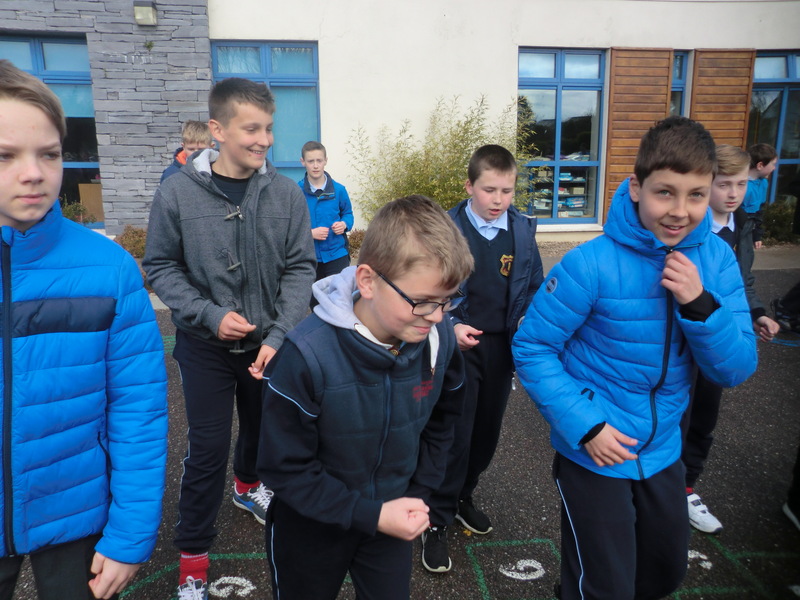 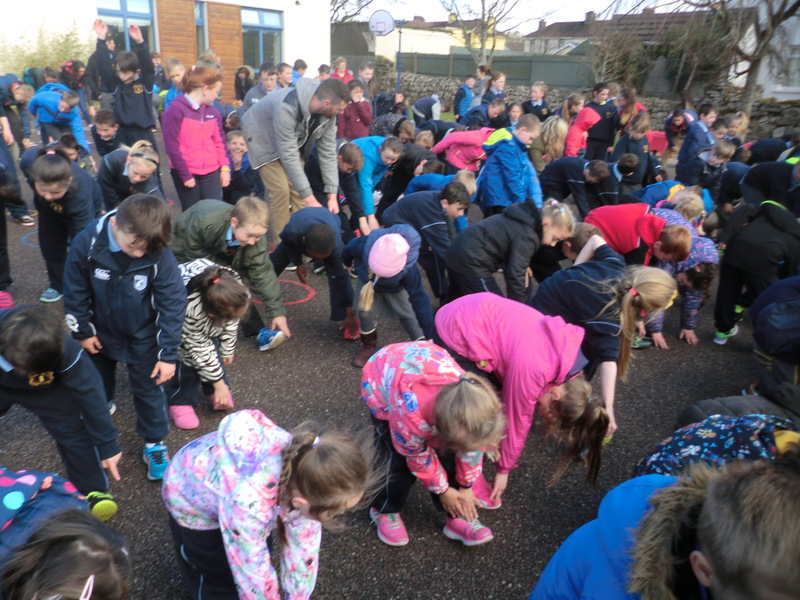 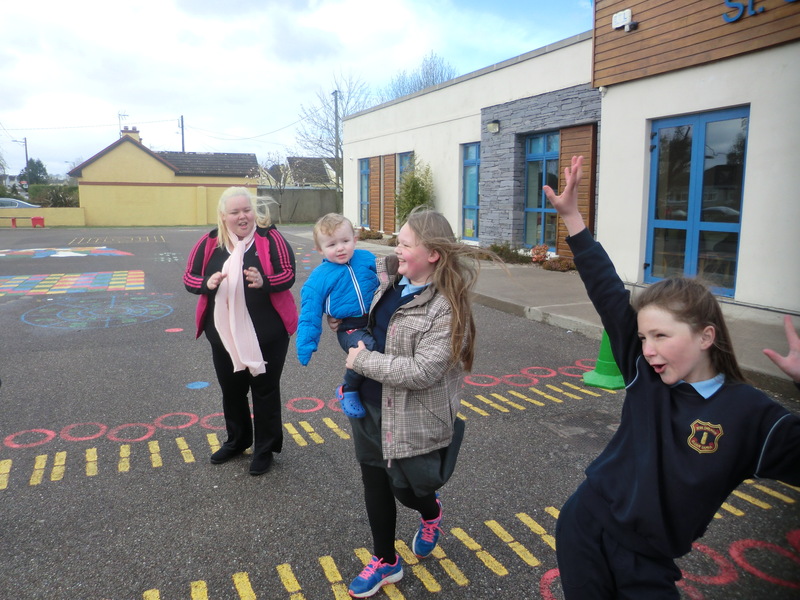 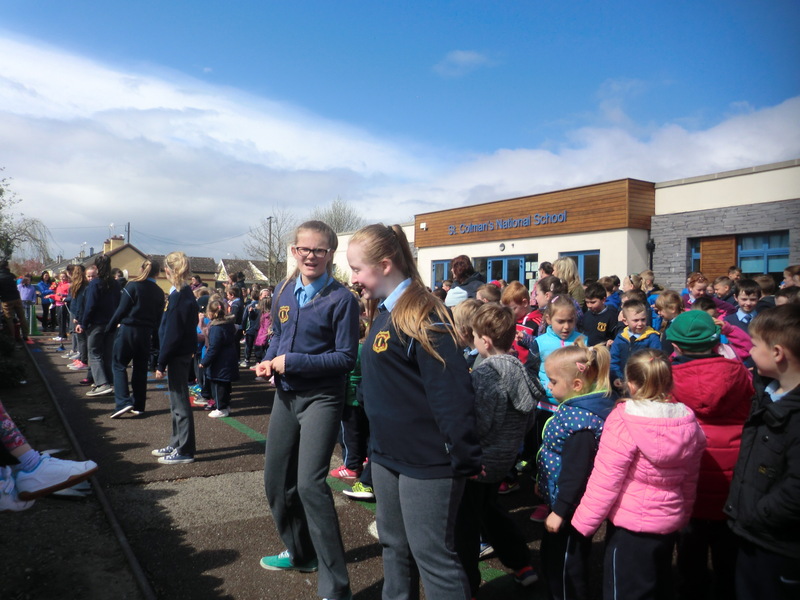 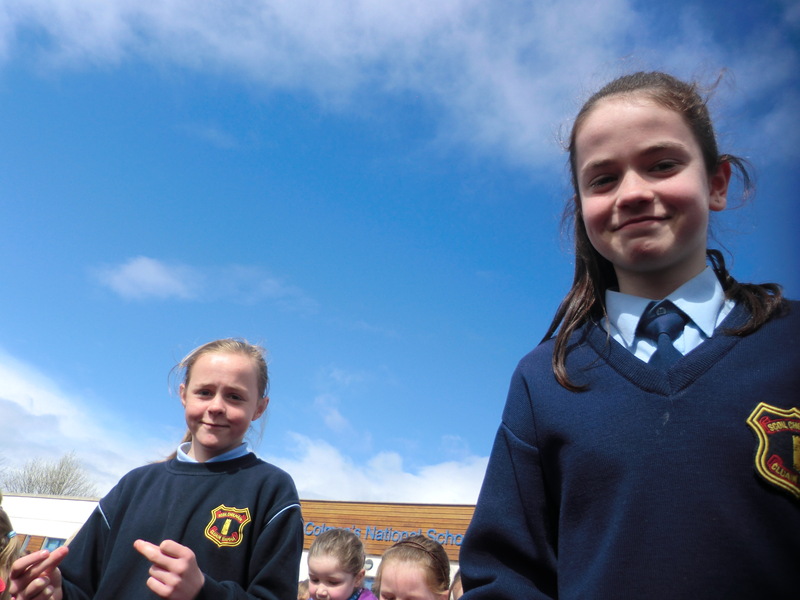 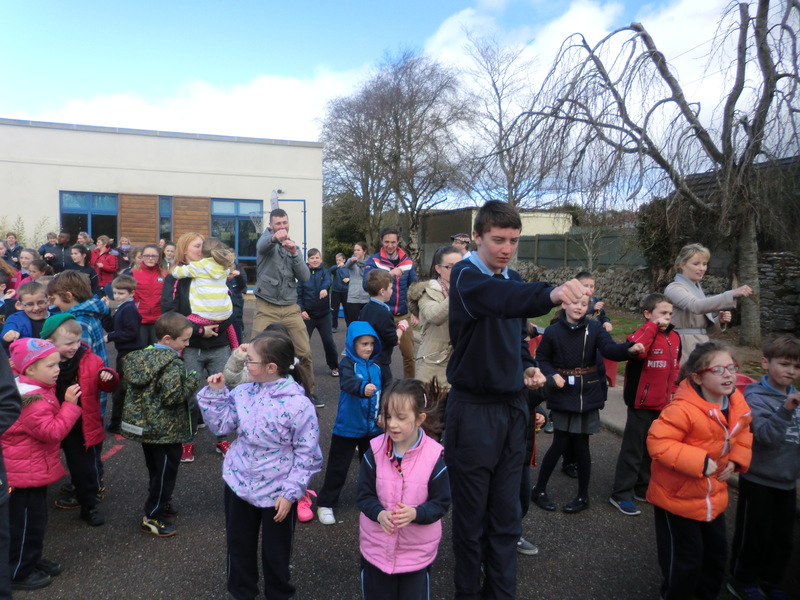 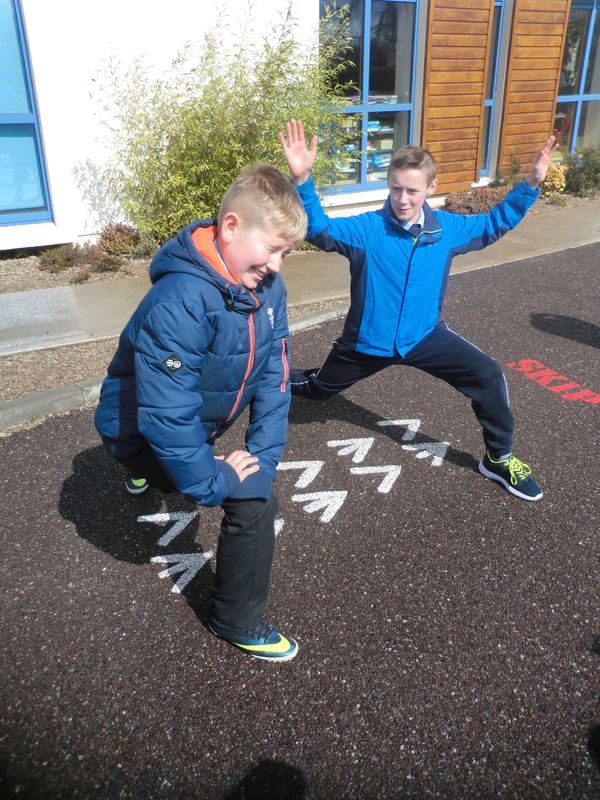 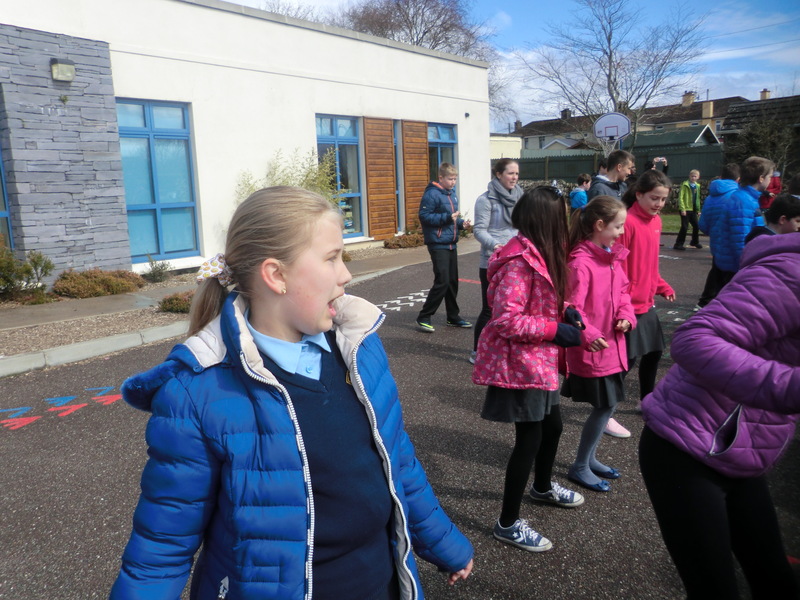 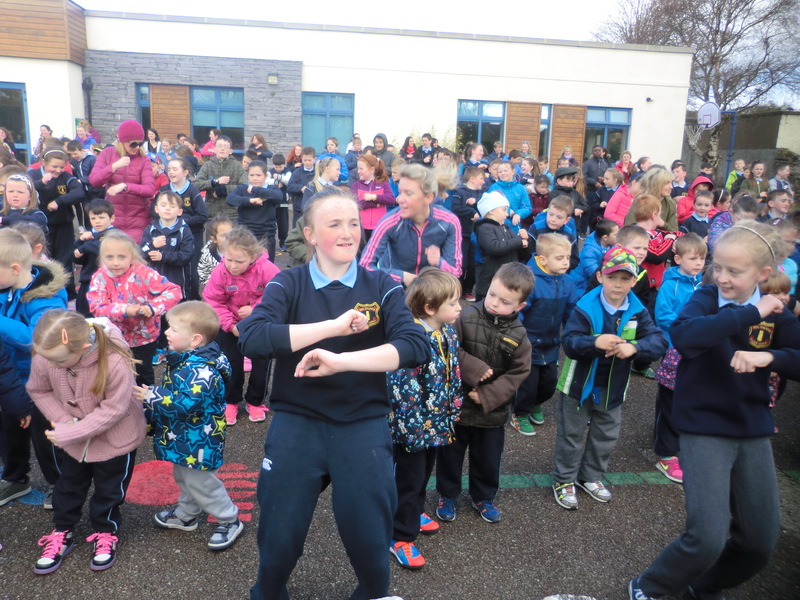 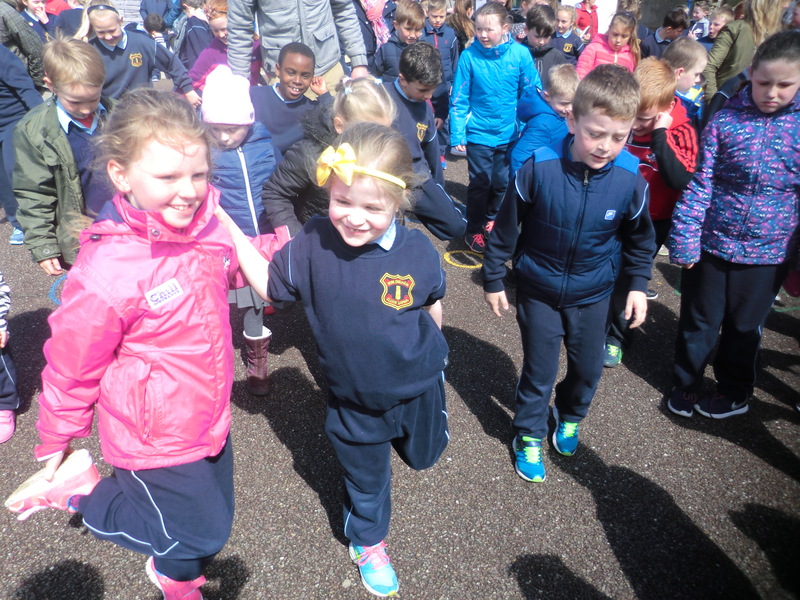 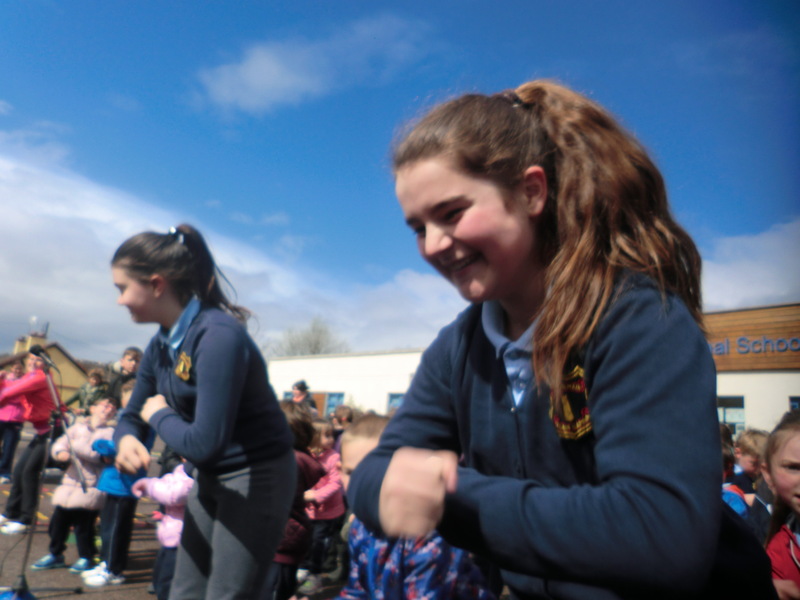 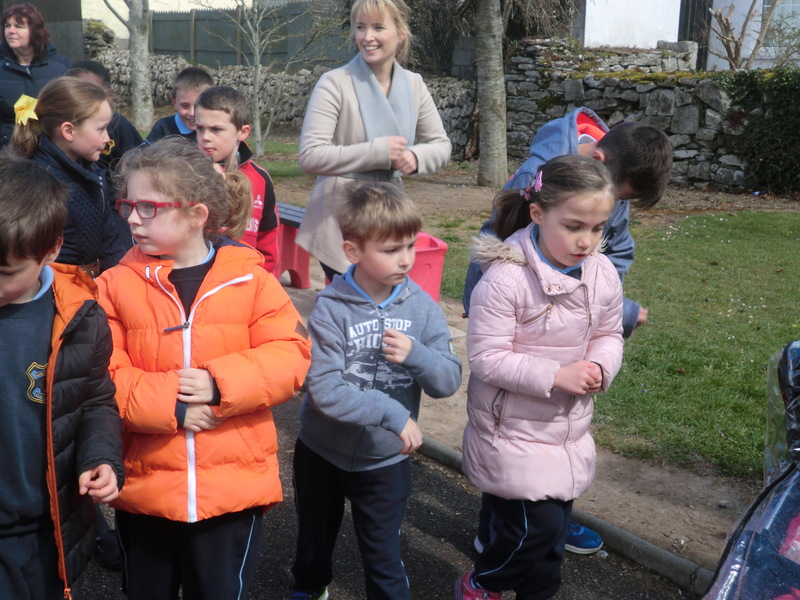 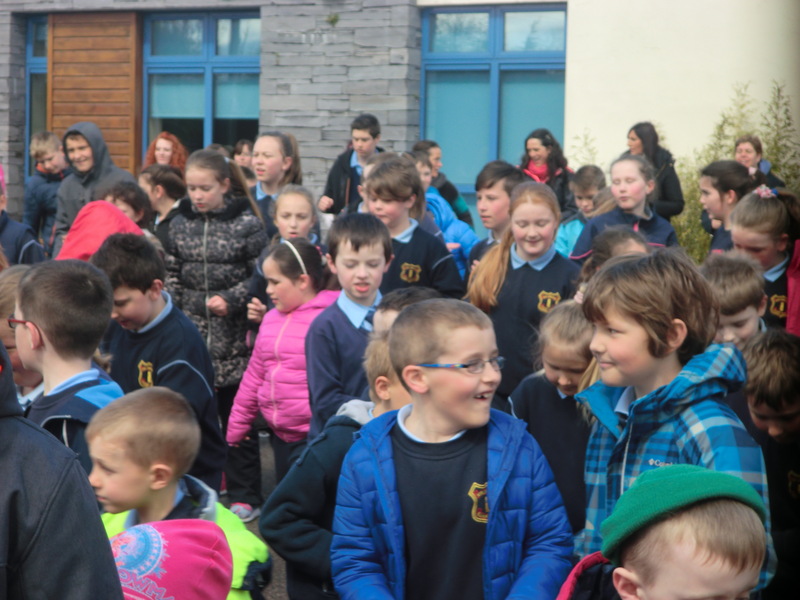 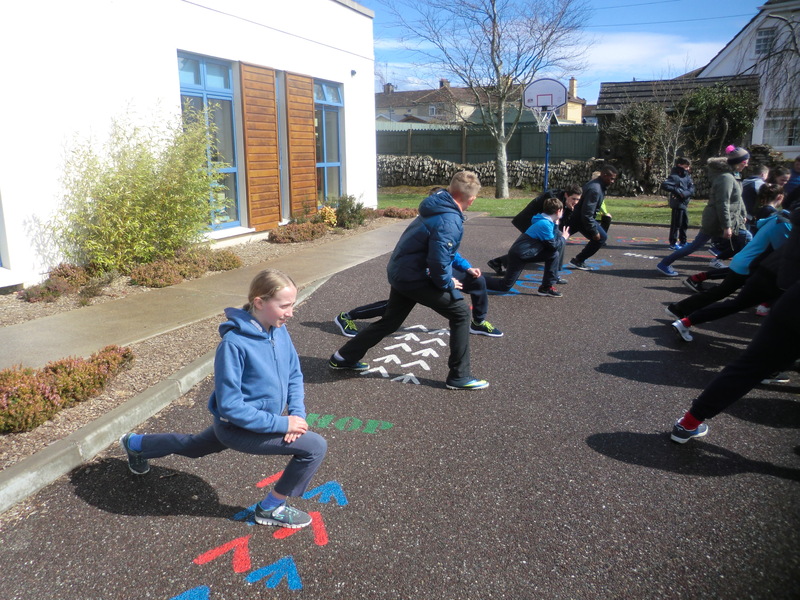 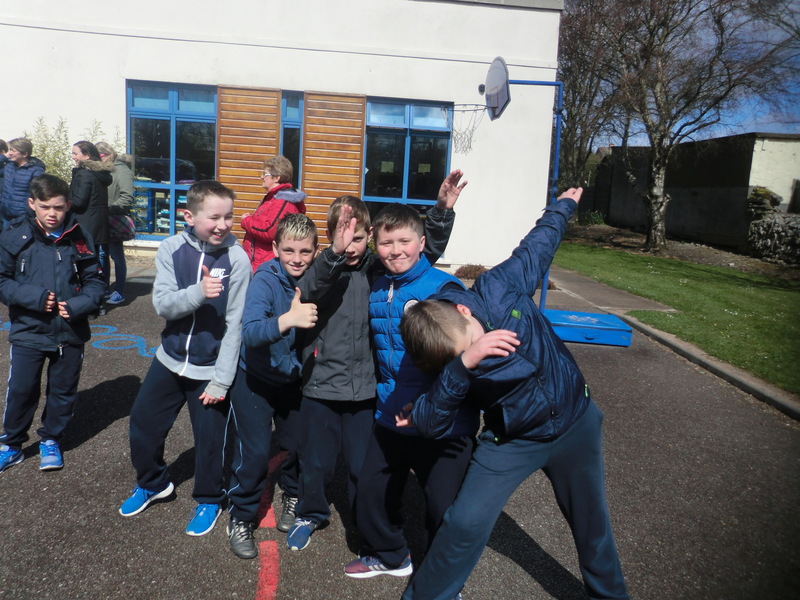 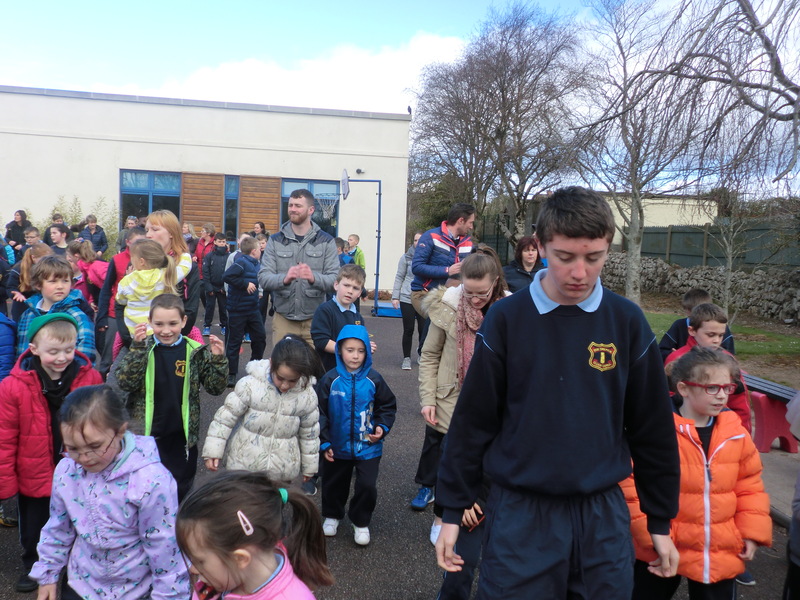 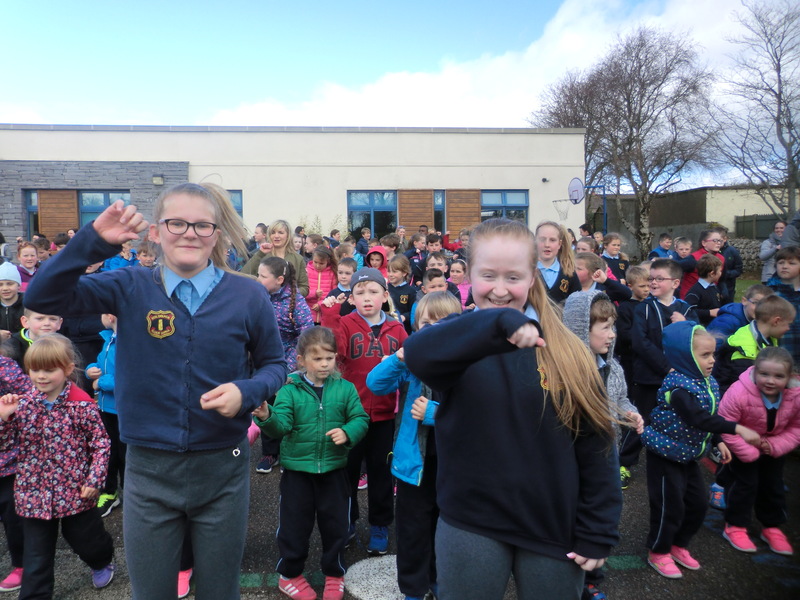 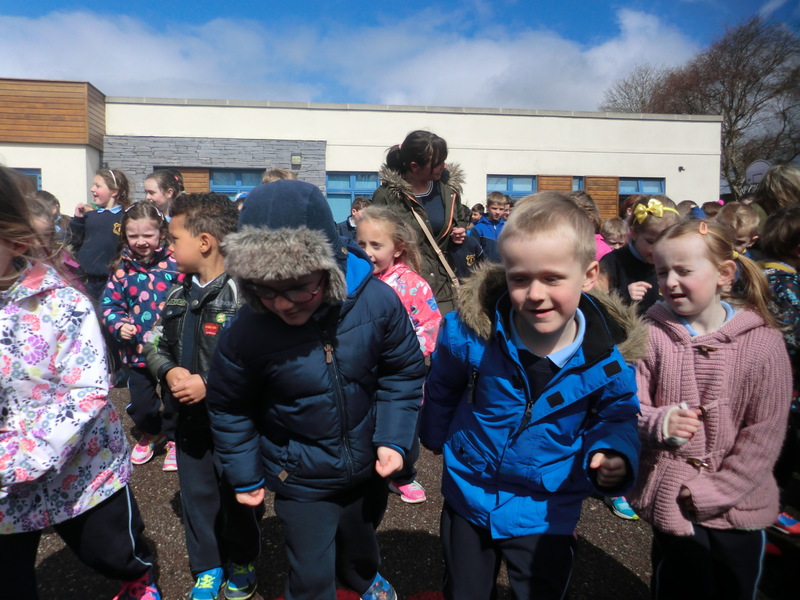 All pupils, staff and school community taking part in Aerobic April on April 28th in school yard as part of Active School Week. 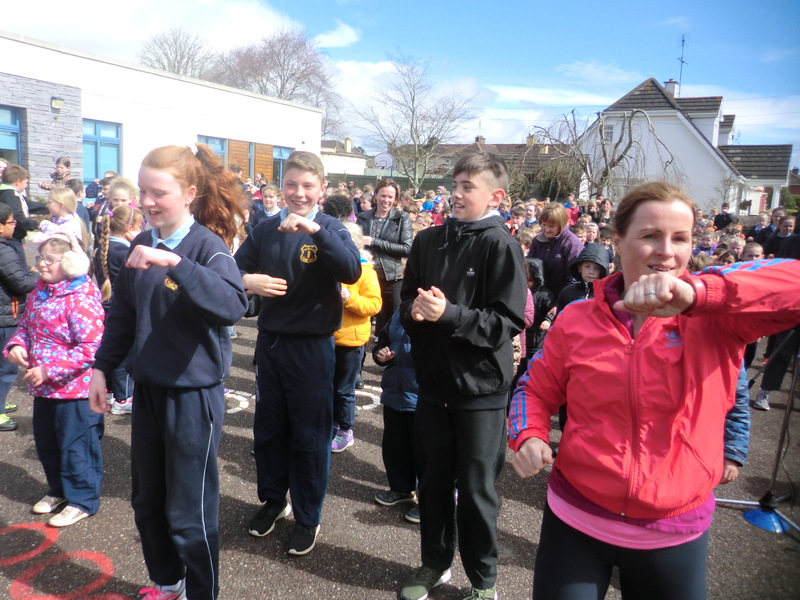 Here are photos of Aerobic April. 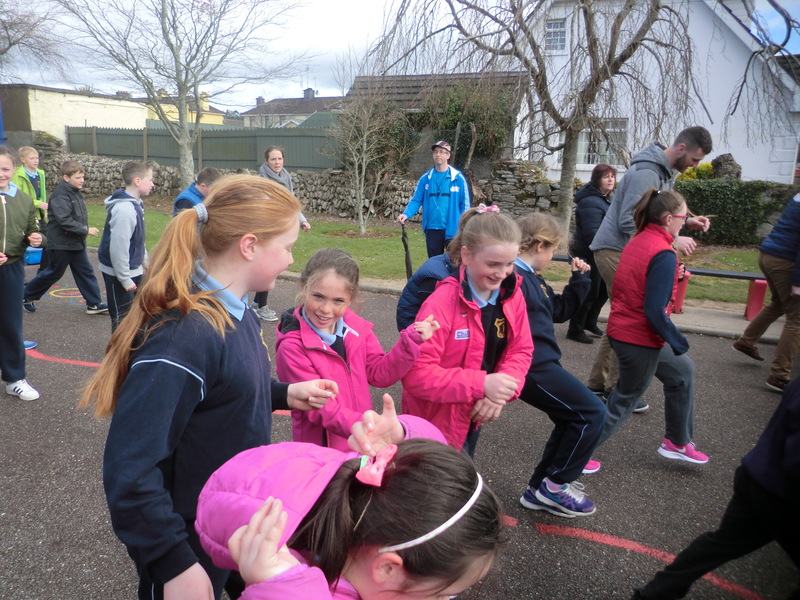 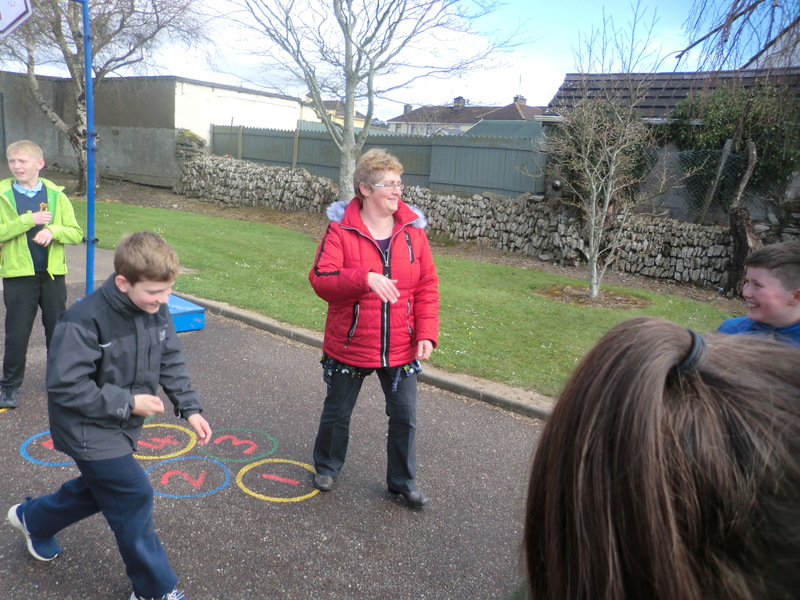 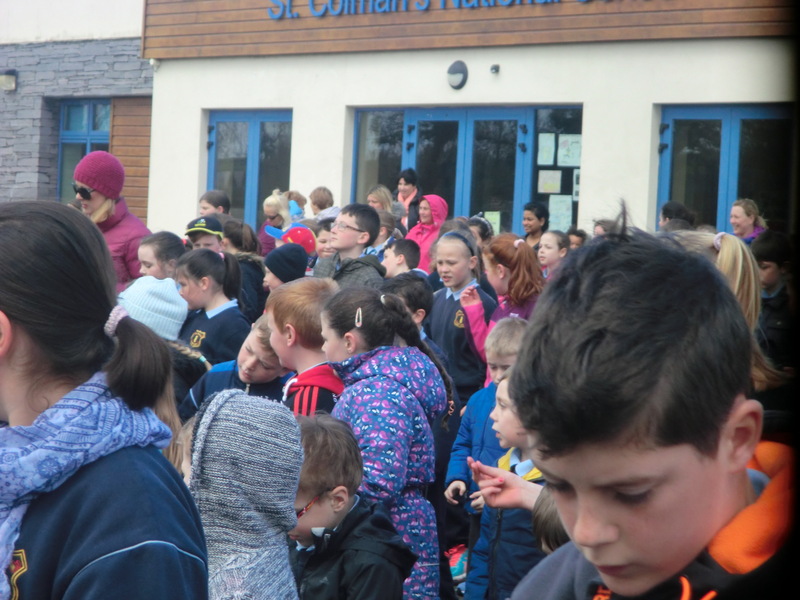 Thank you to all those who participated agus Míle Buíochas to Siobhán and Hazel for their guidance!